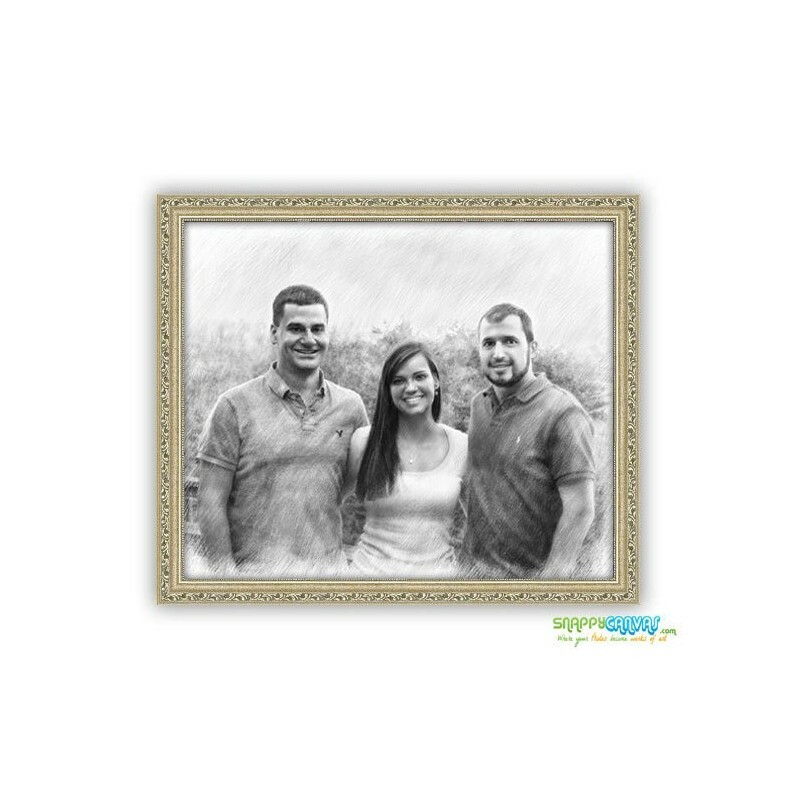 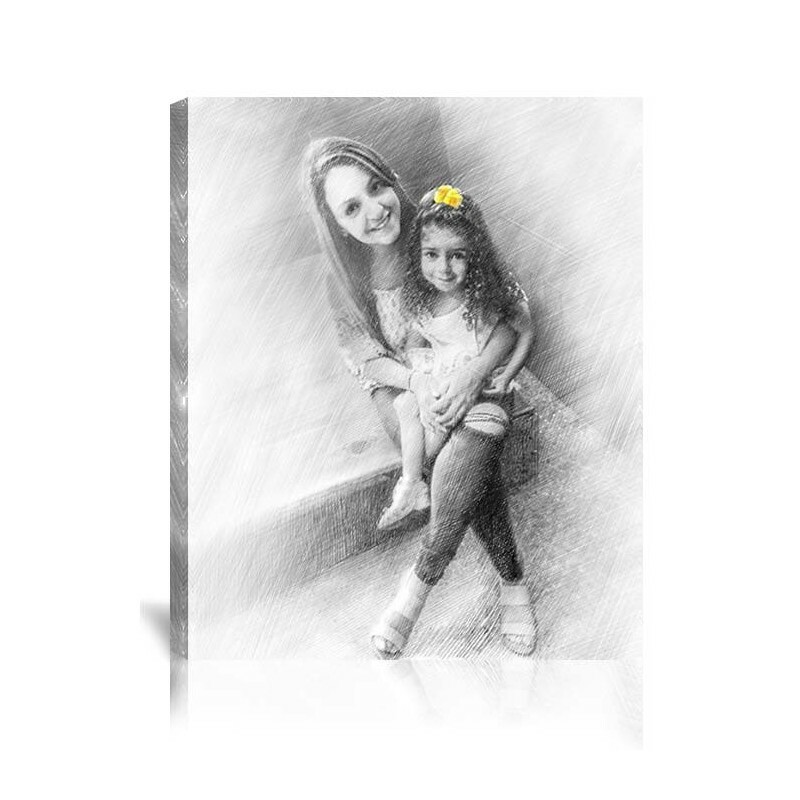 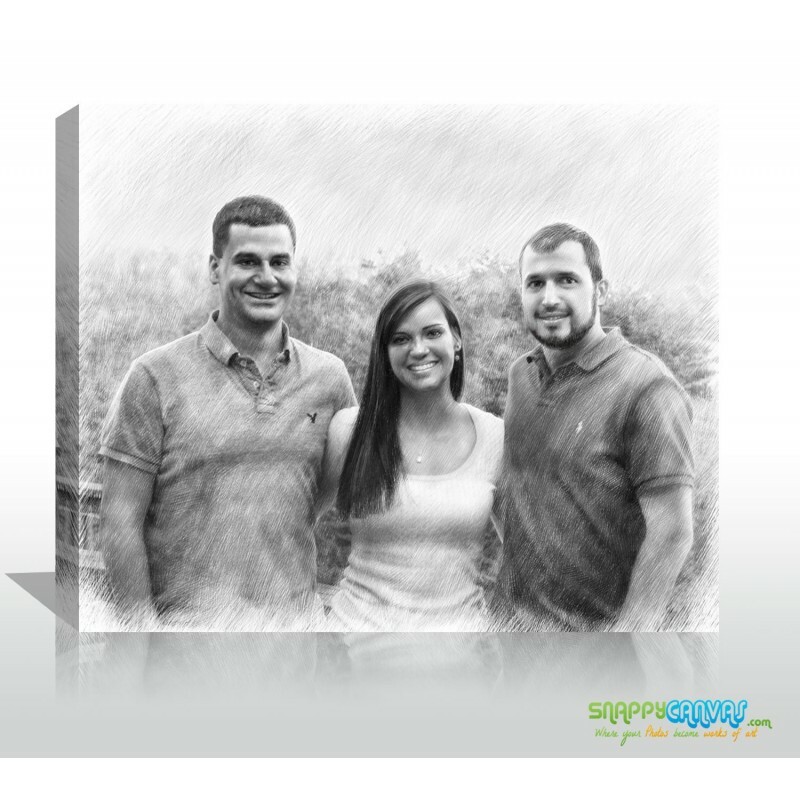 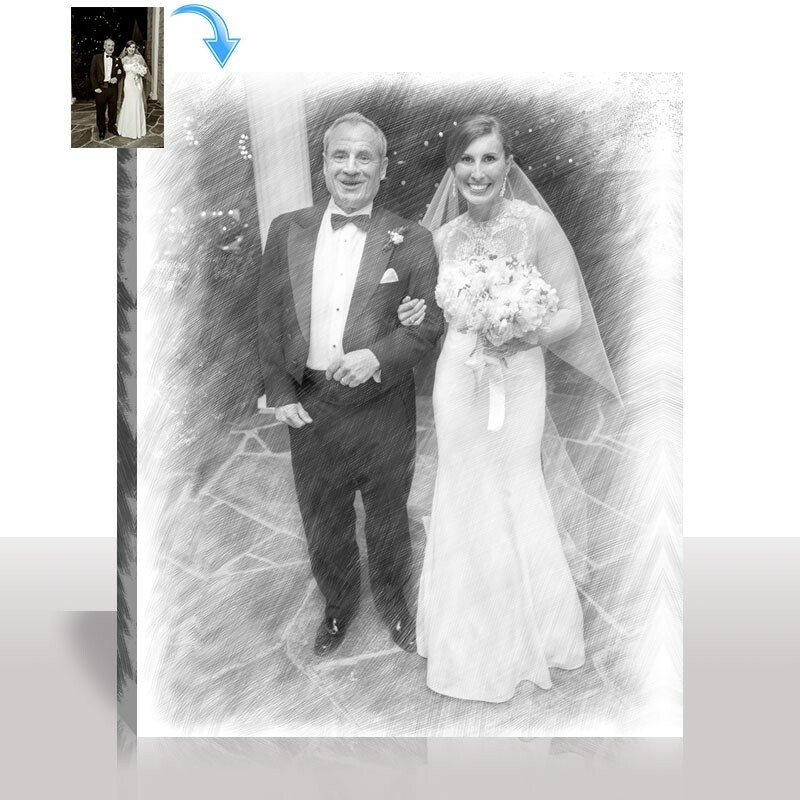 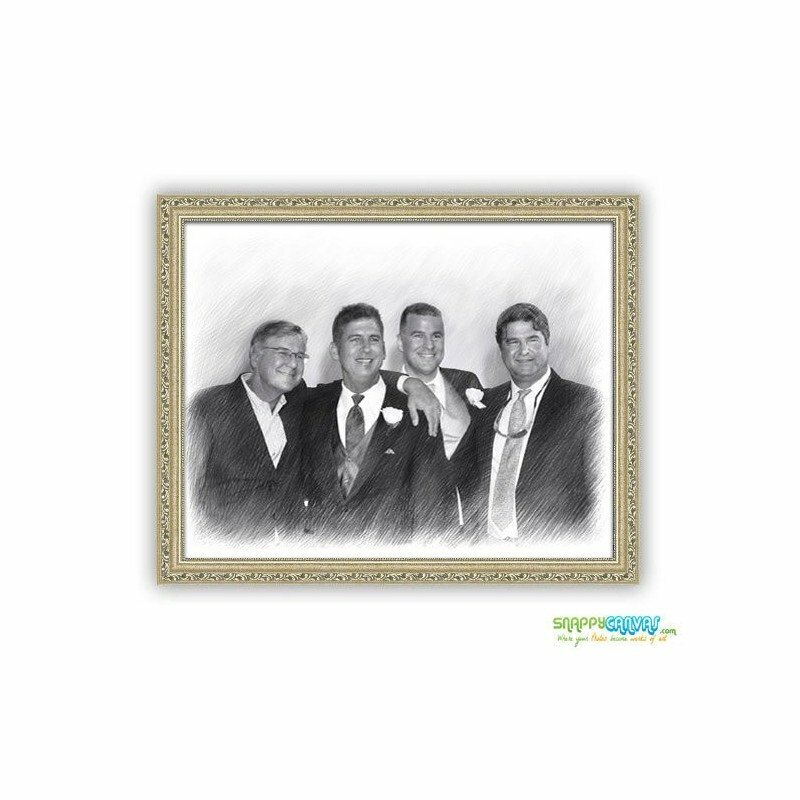 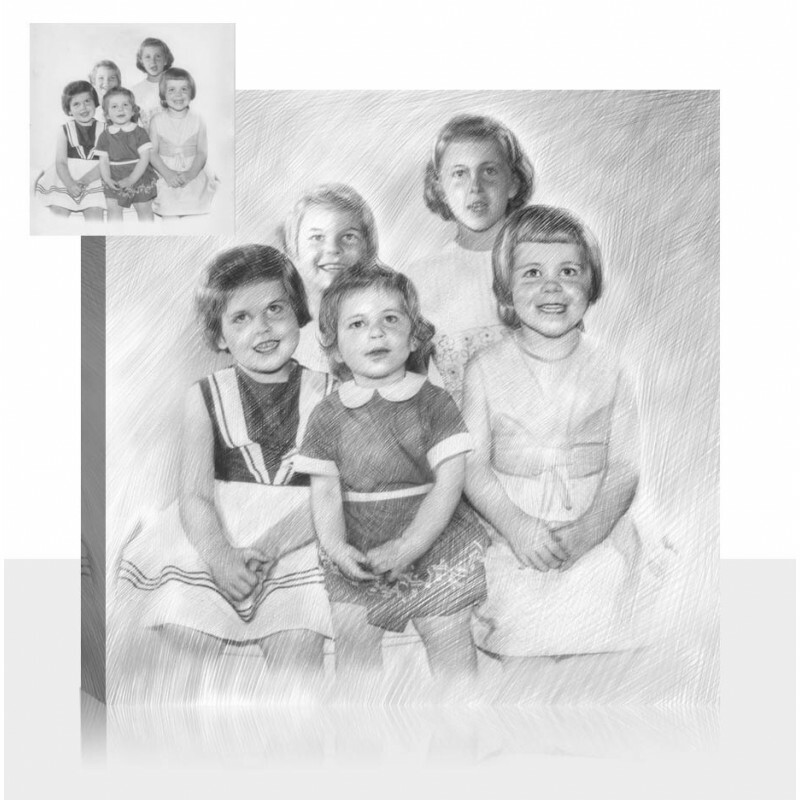 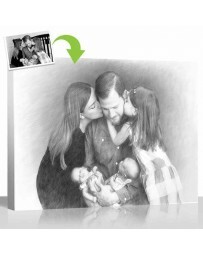 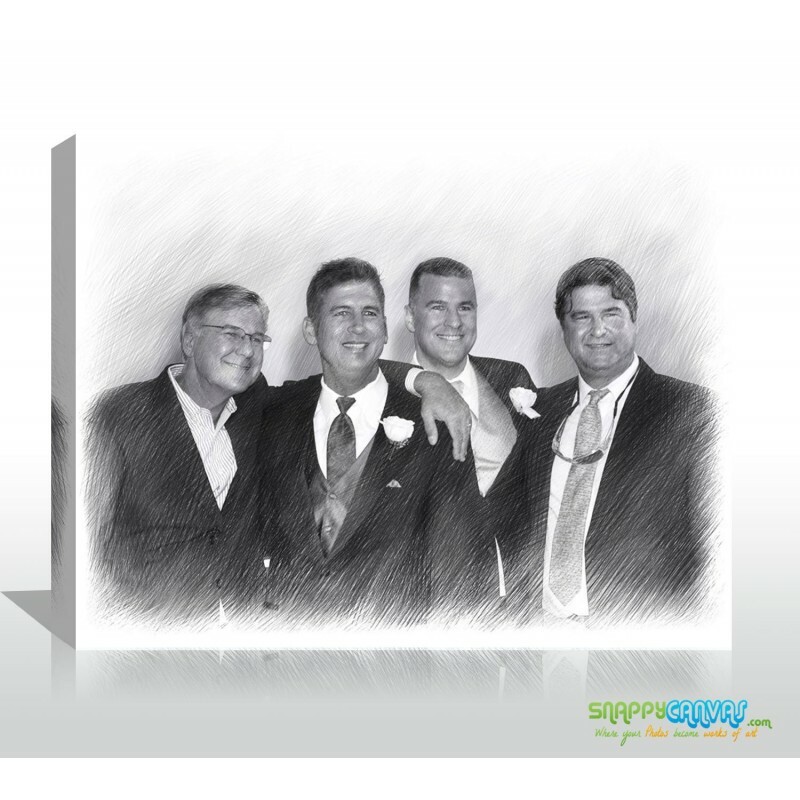 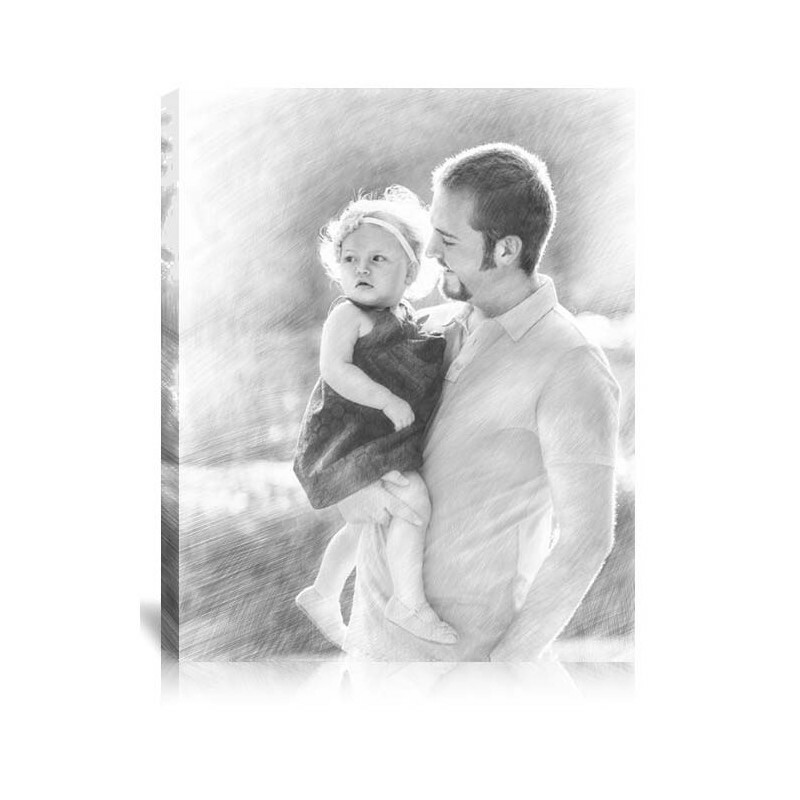 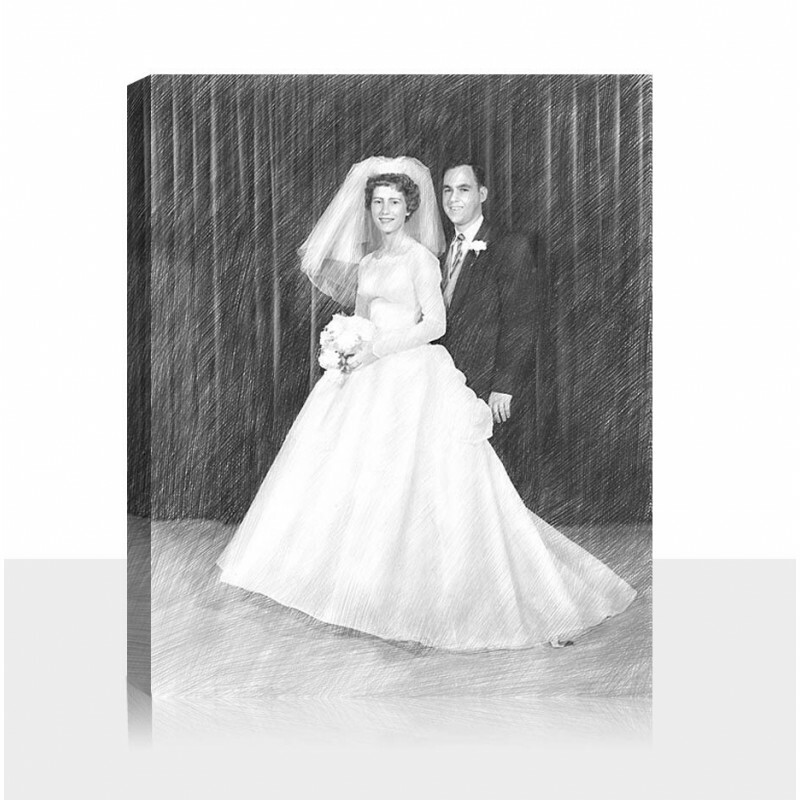 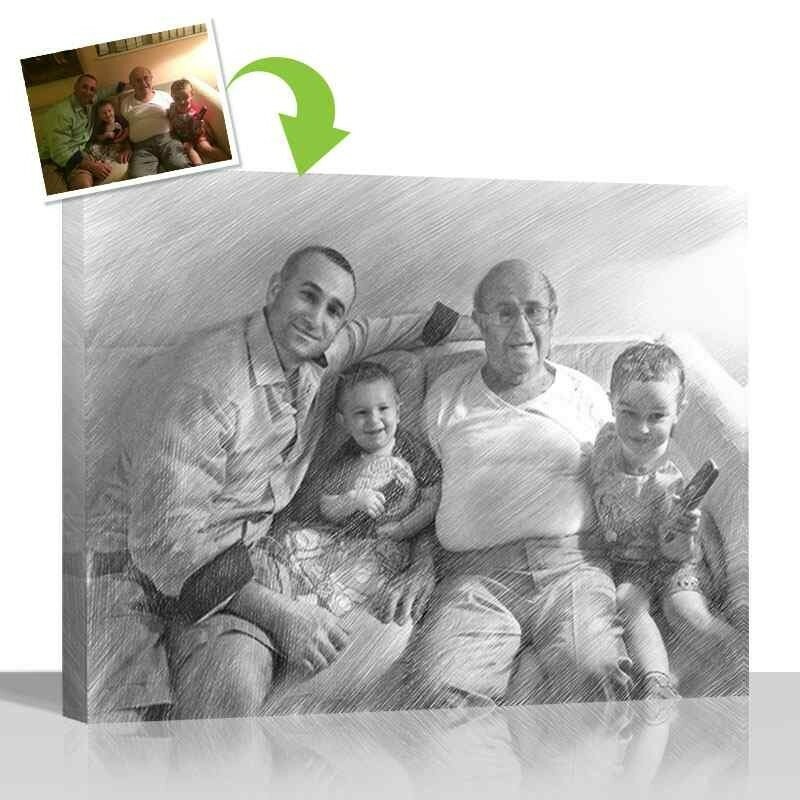 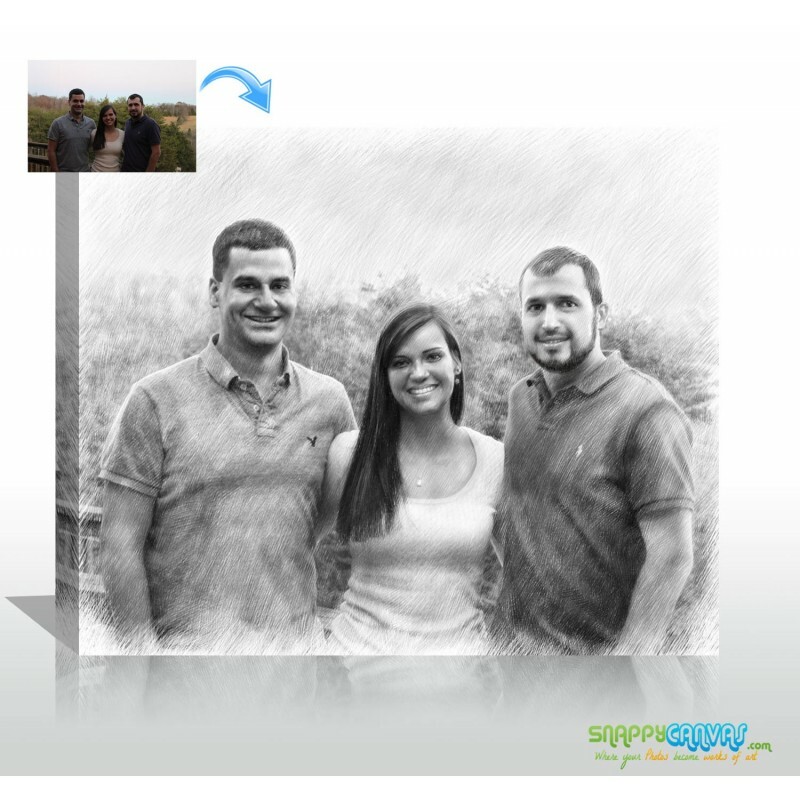 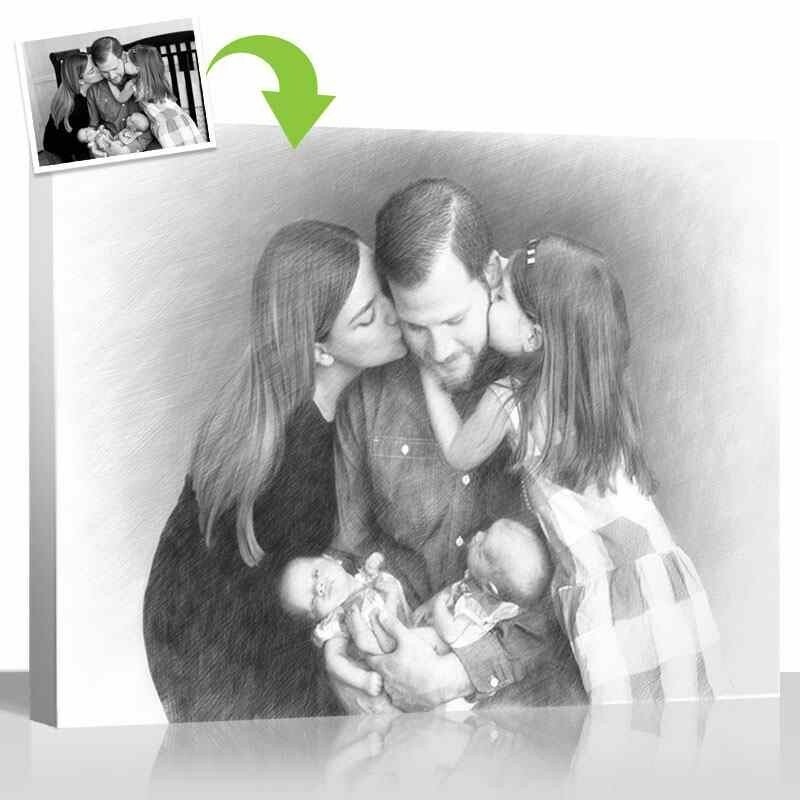 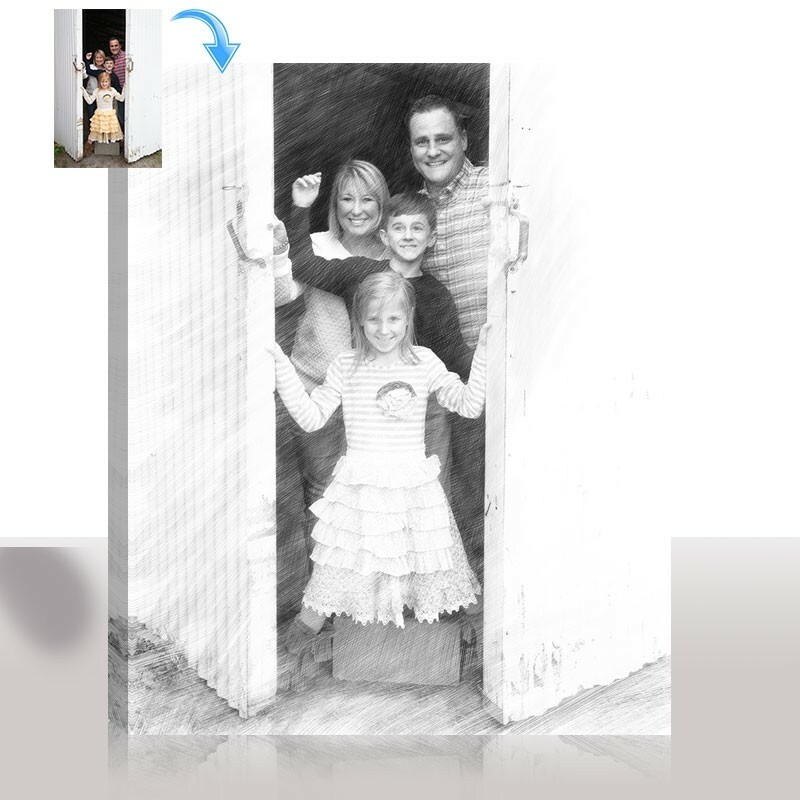 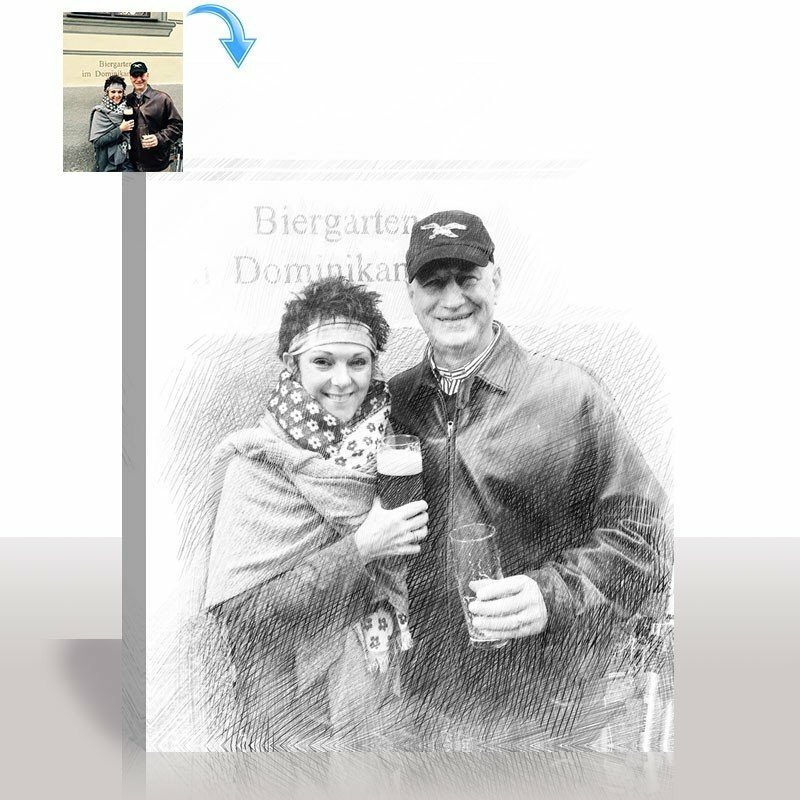 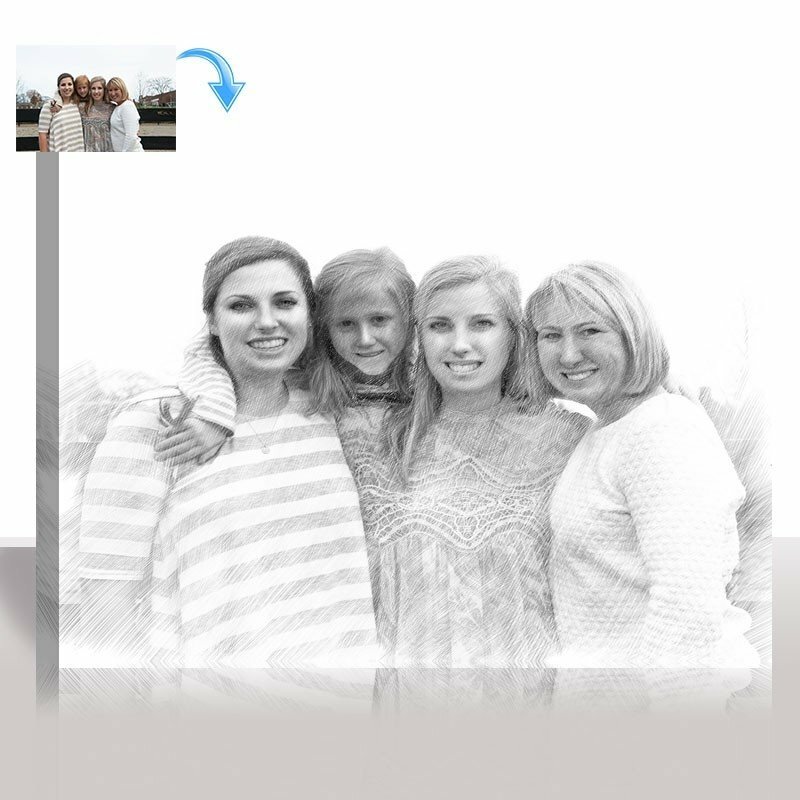 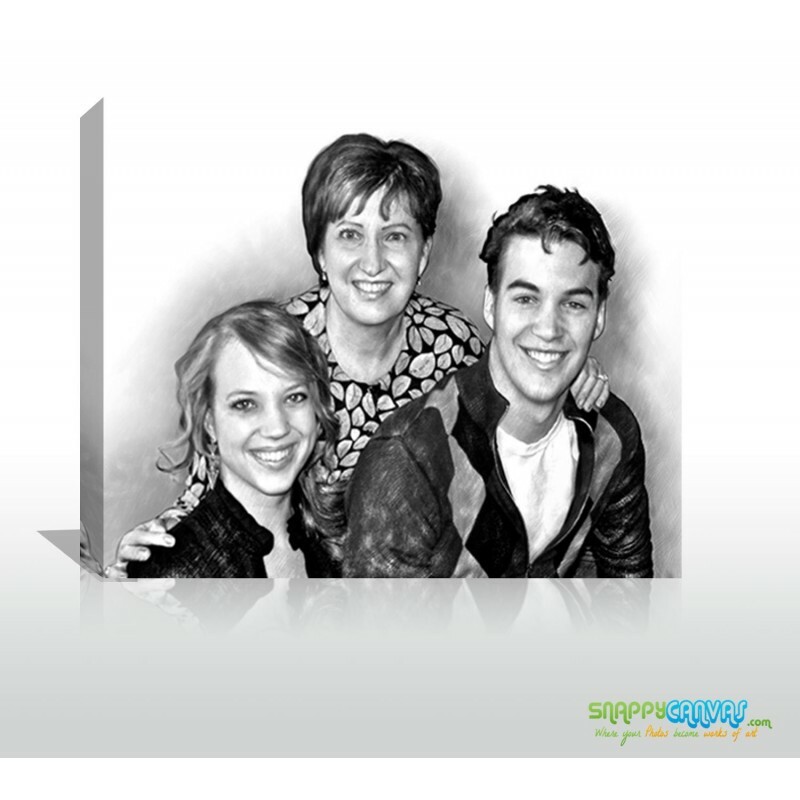 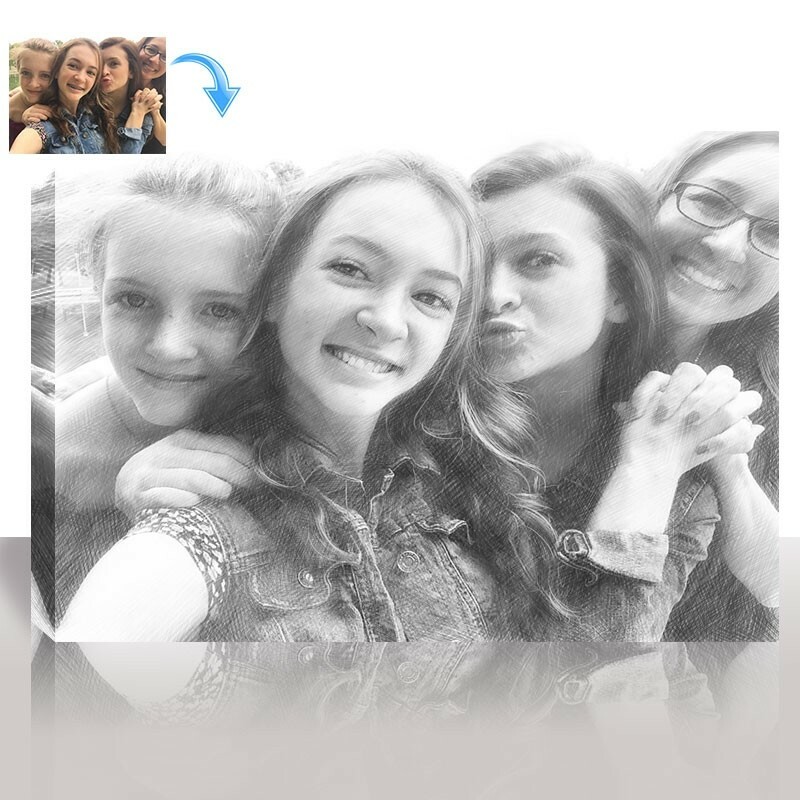 Showcase your photos in pencil style with a modern take on a time honored tradition. 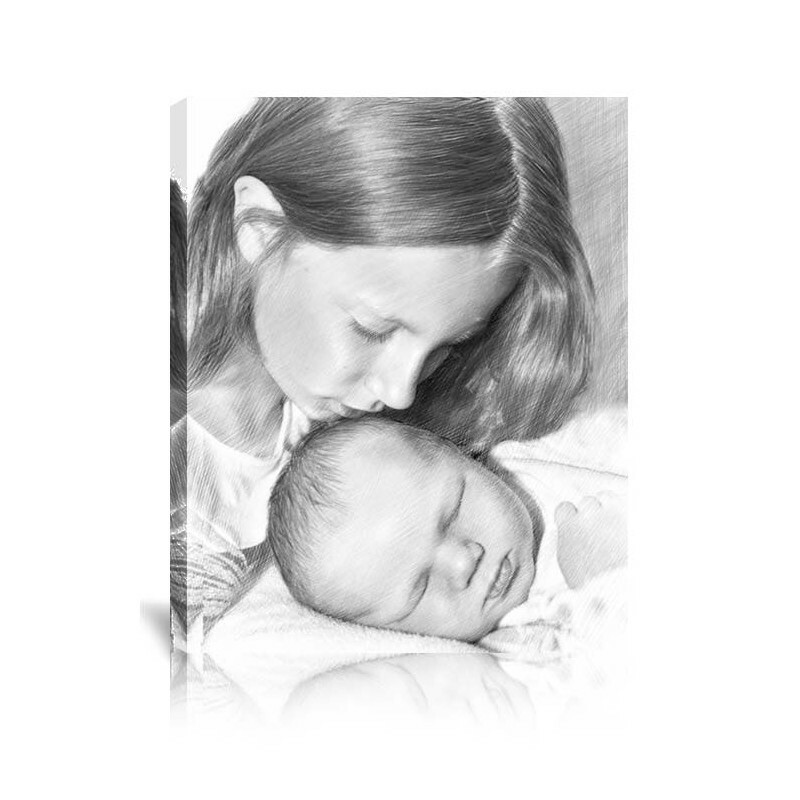 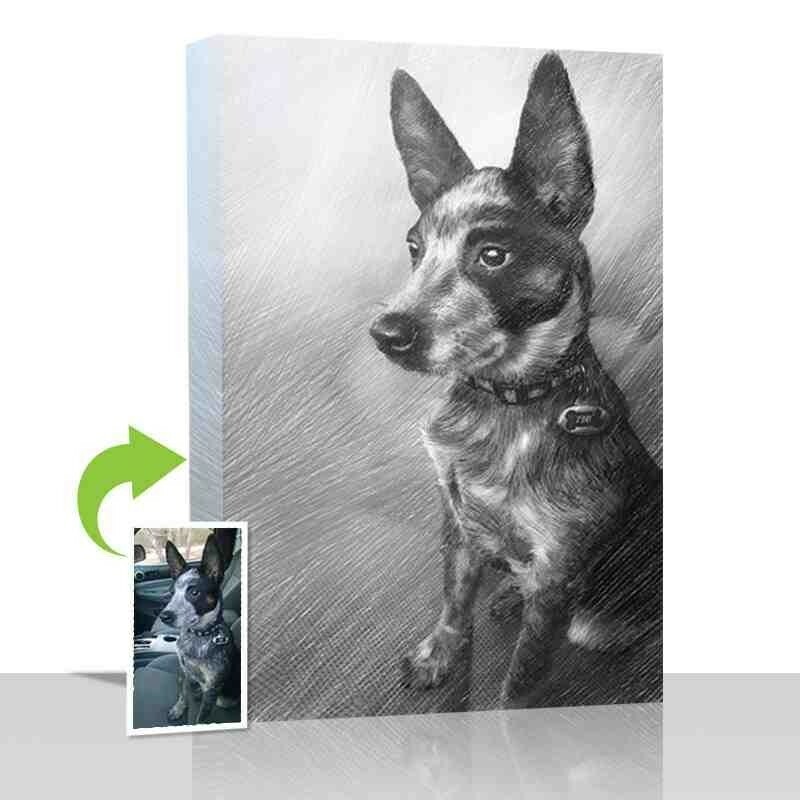 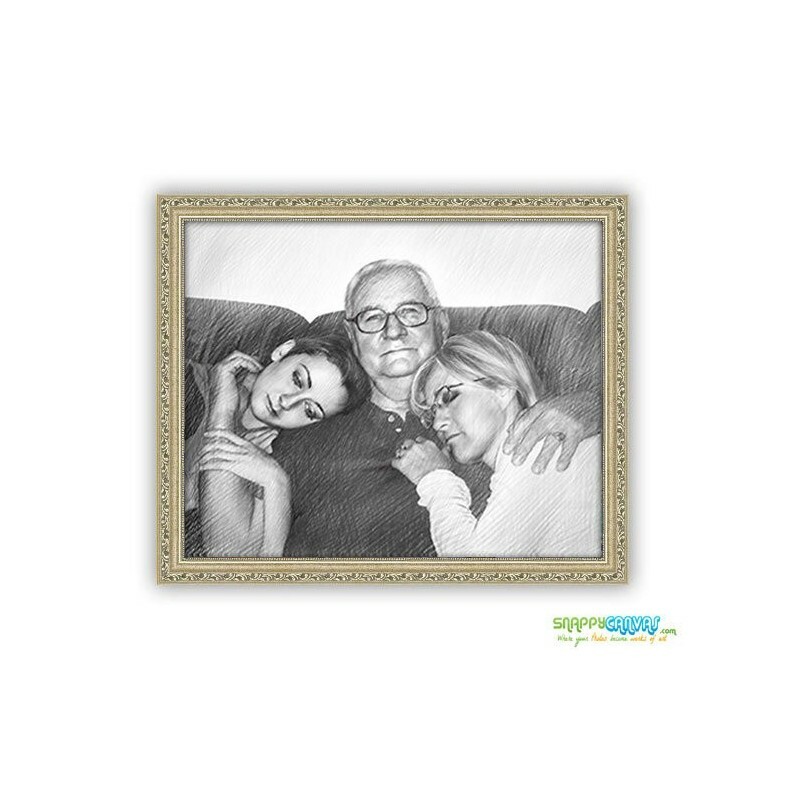 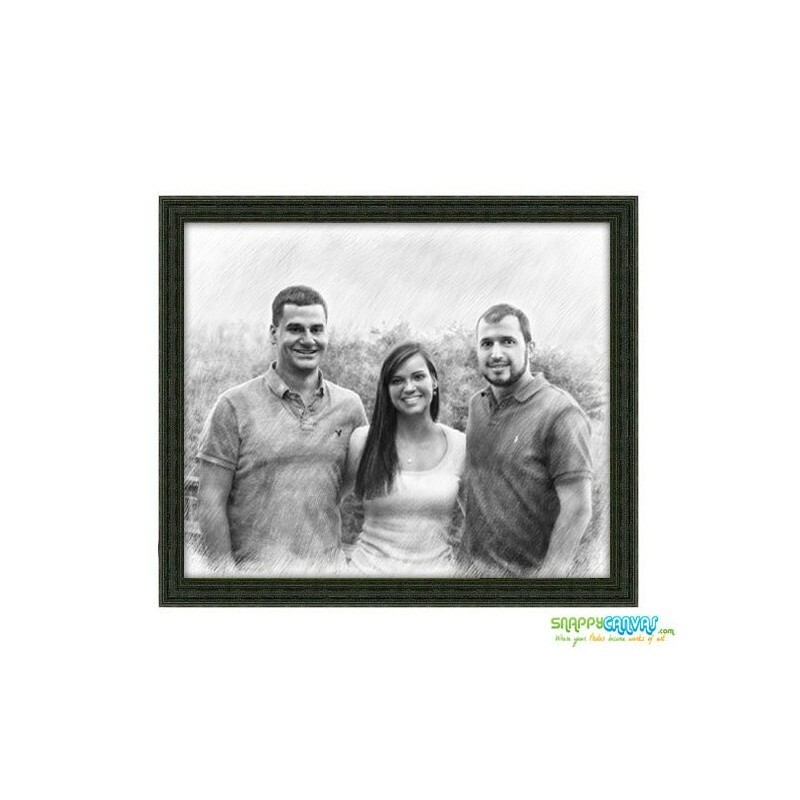 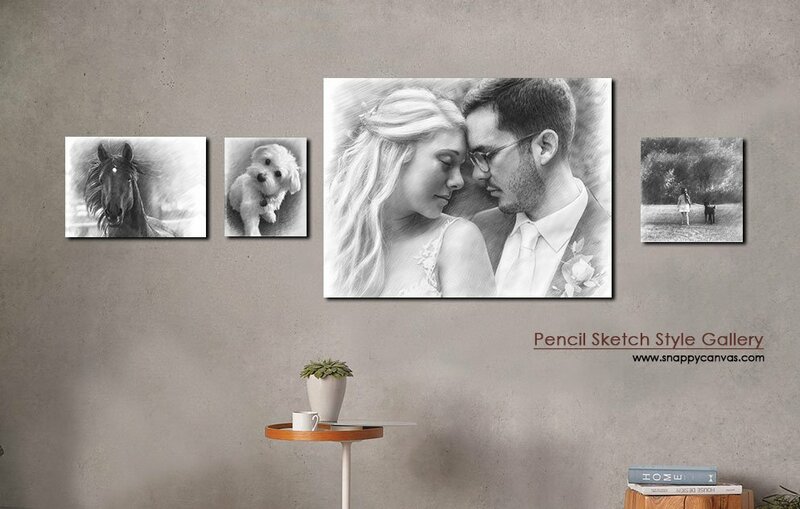 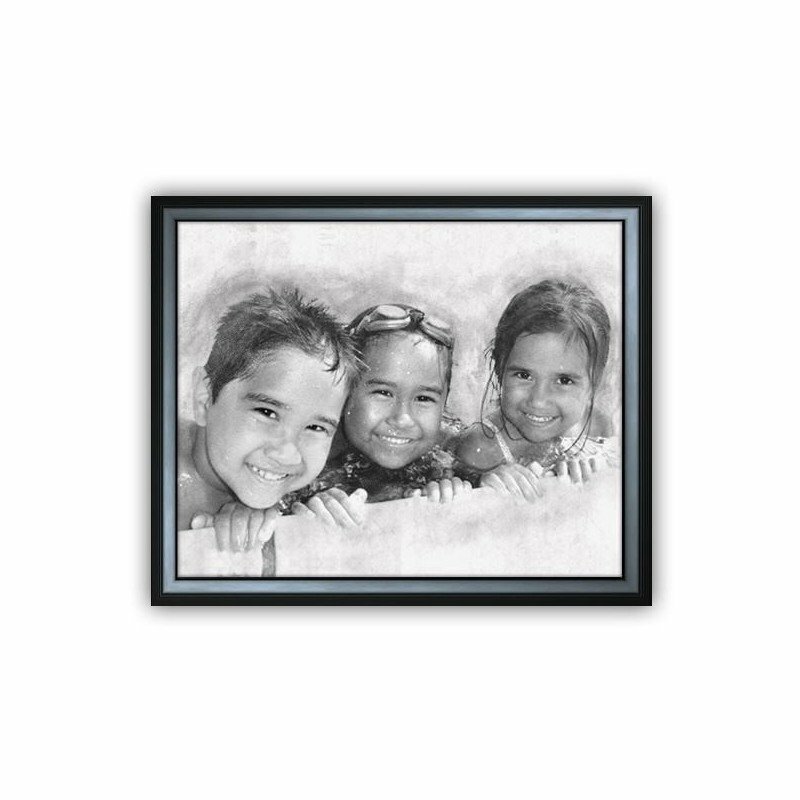 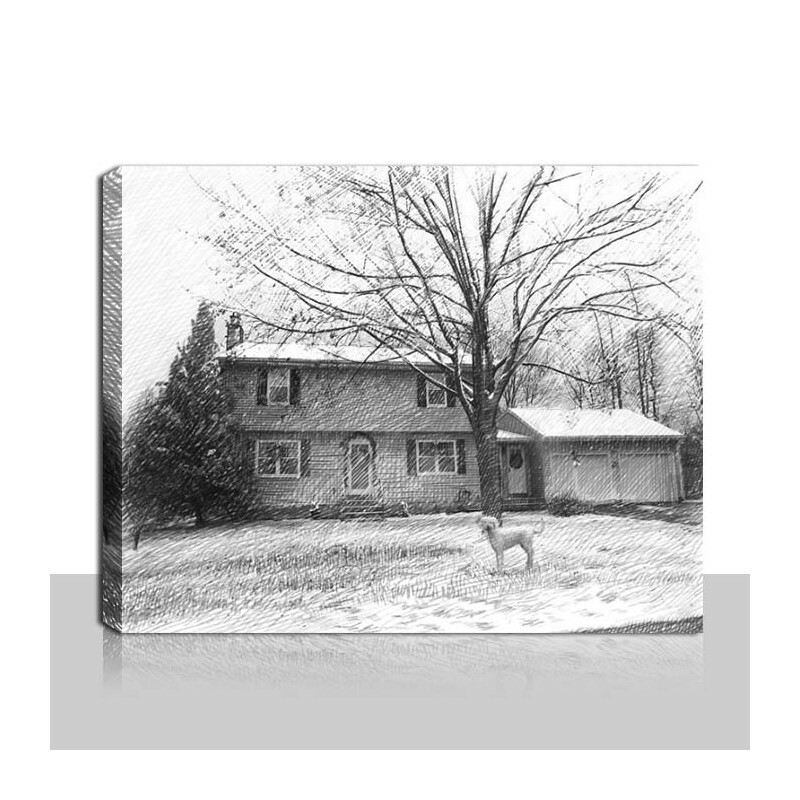 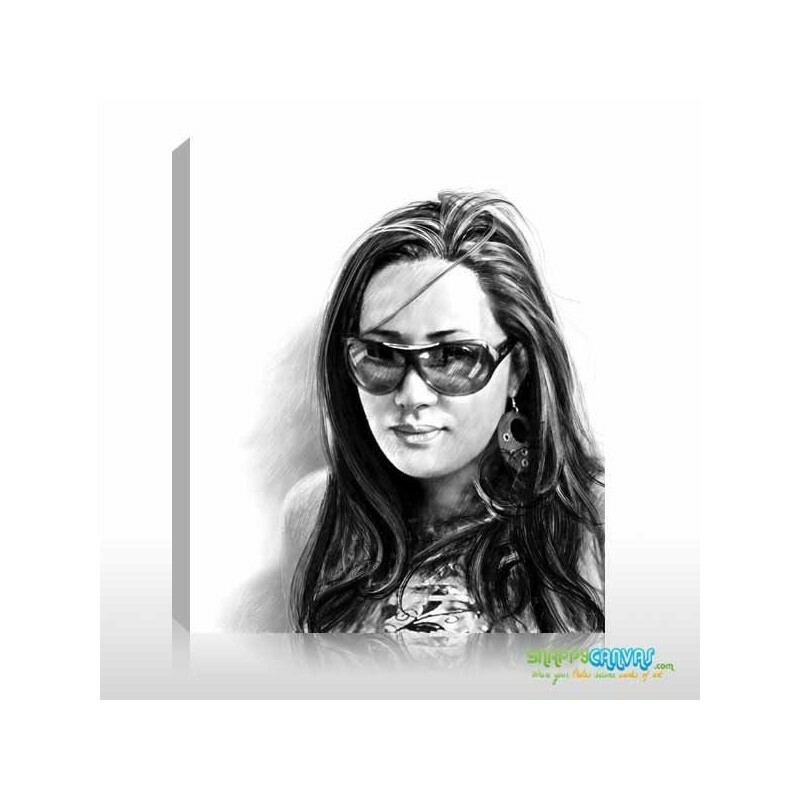 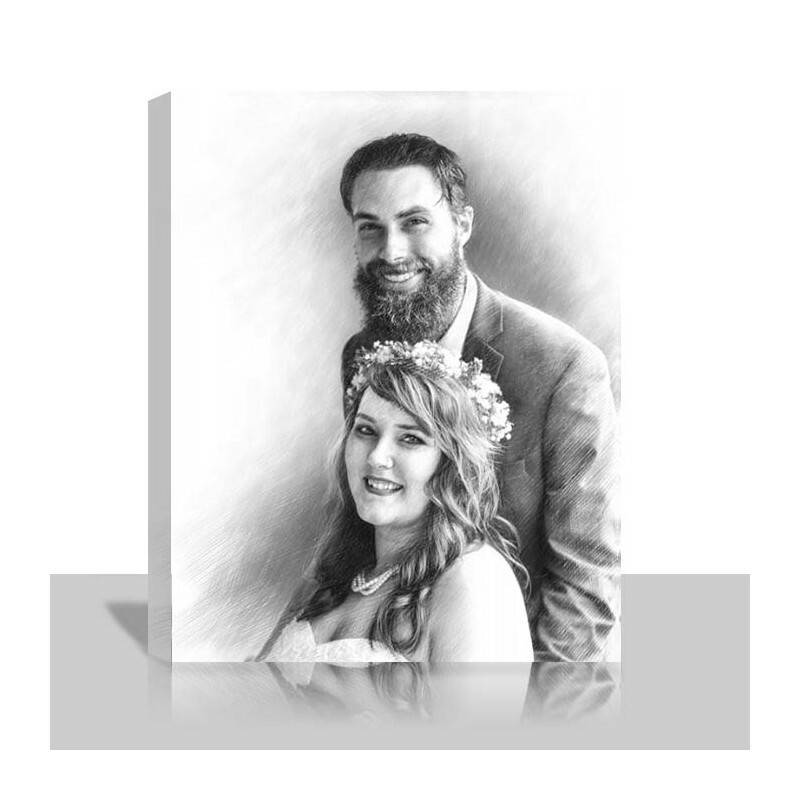 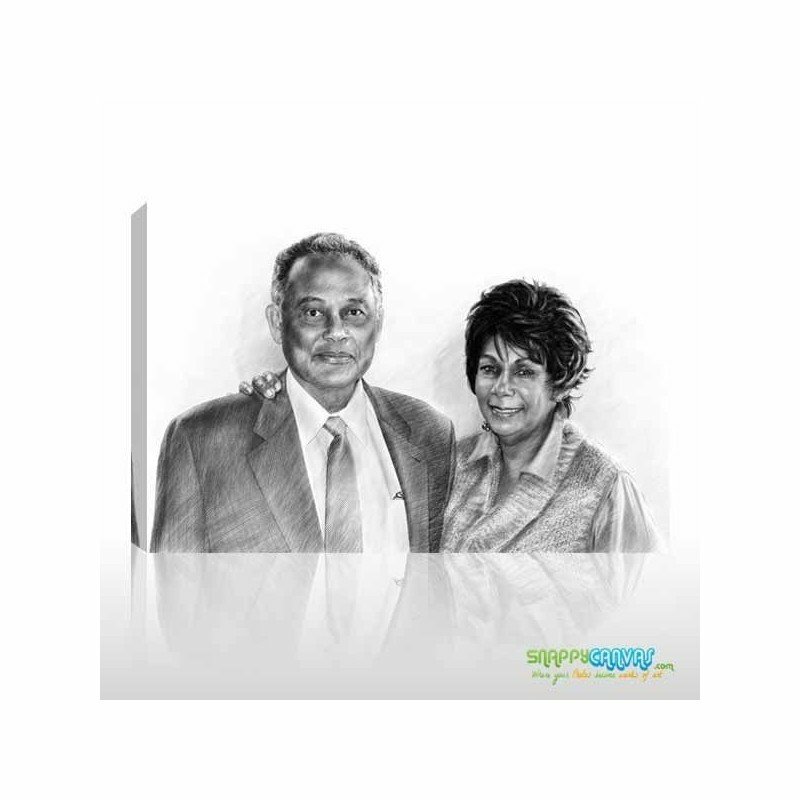 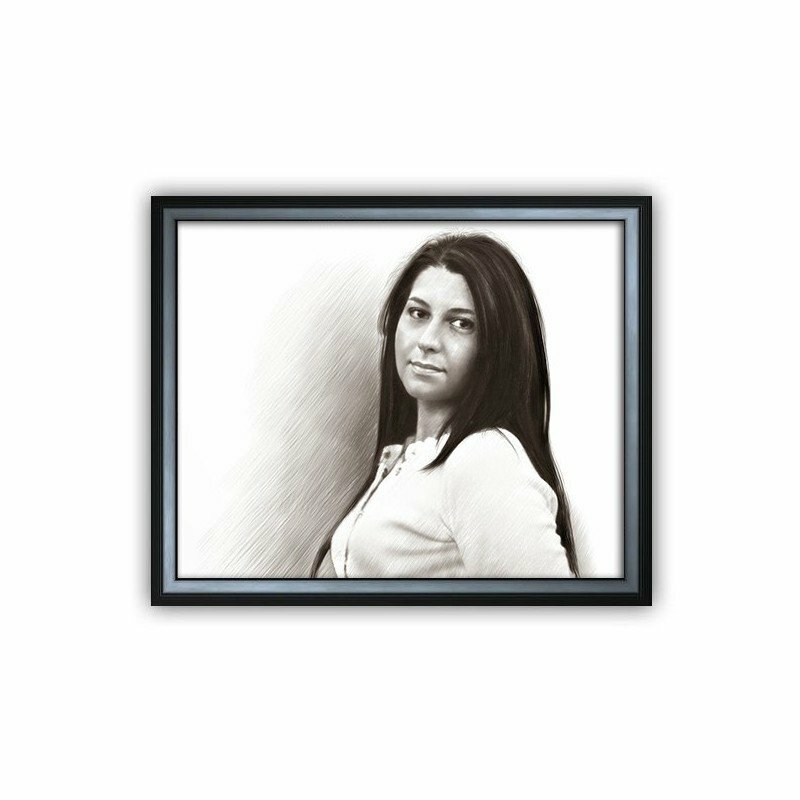 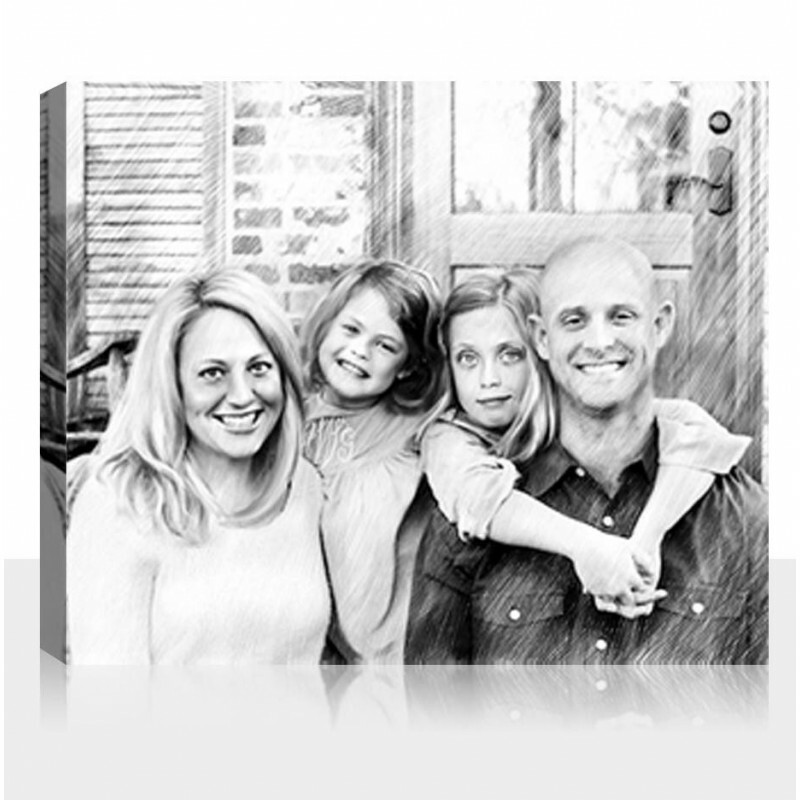 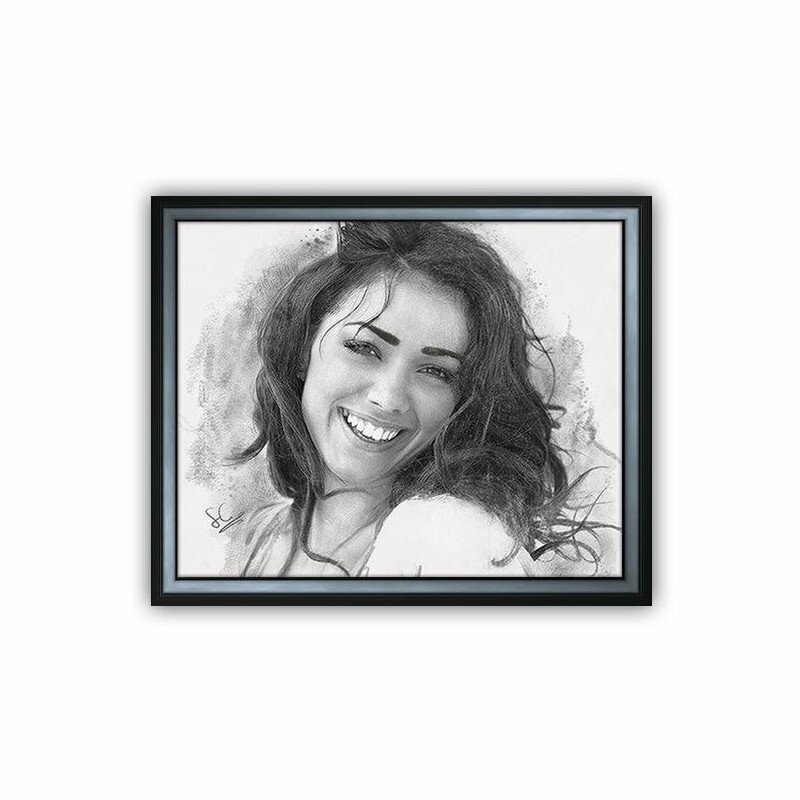 Now you can have your favorite people and pet portraits on display with our hand digitally drawn Pencil Sketch portrait on canvas. 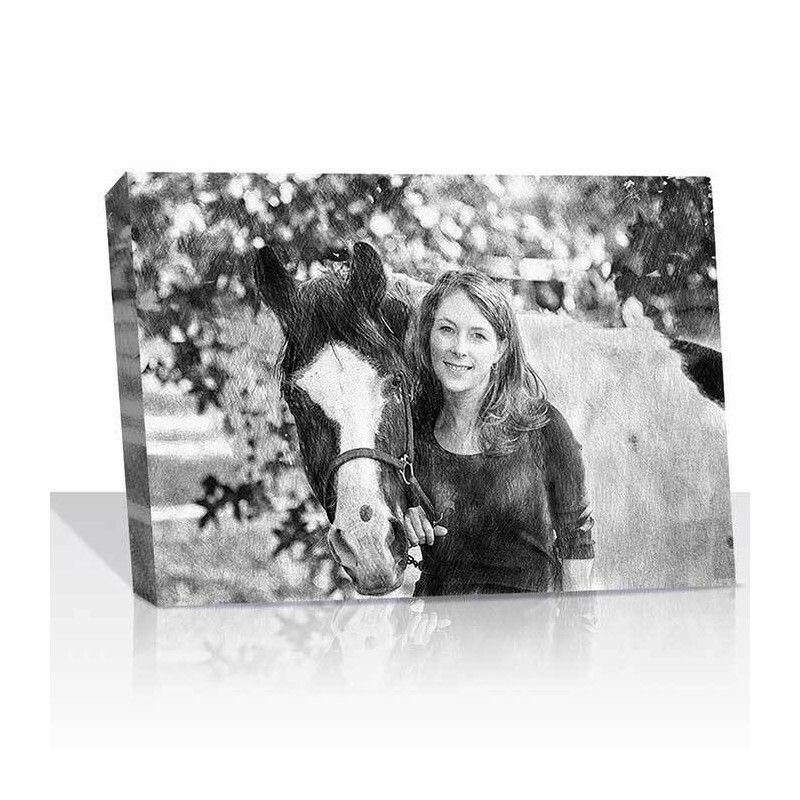 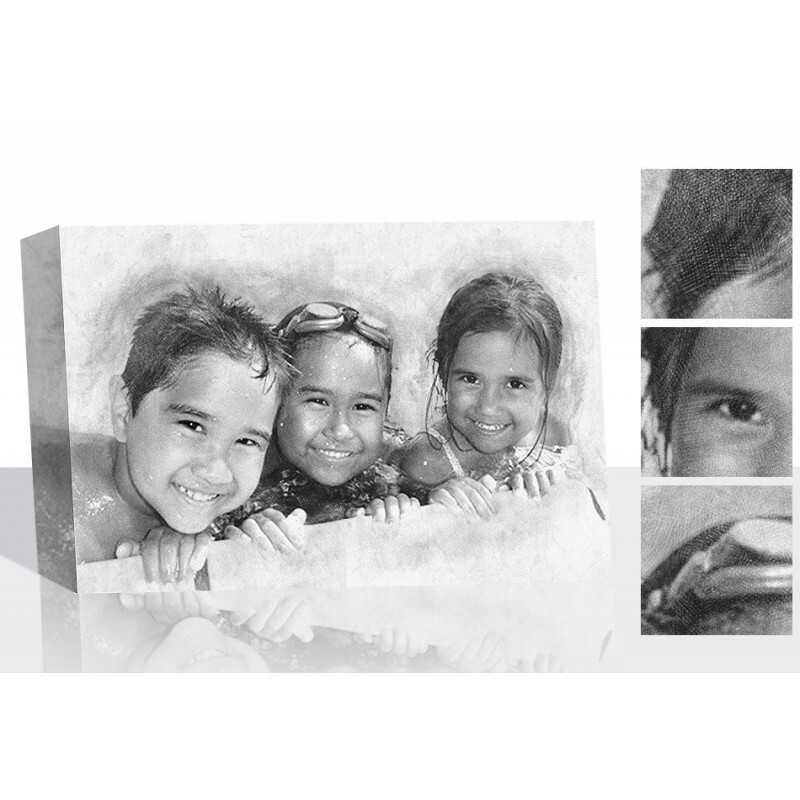 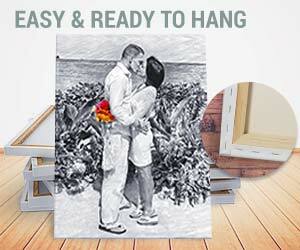 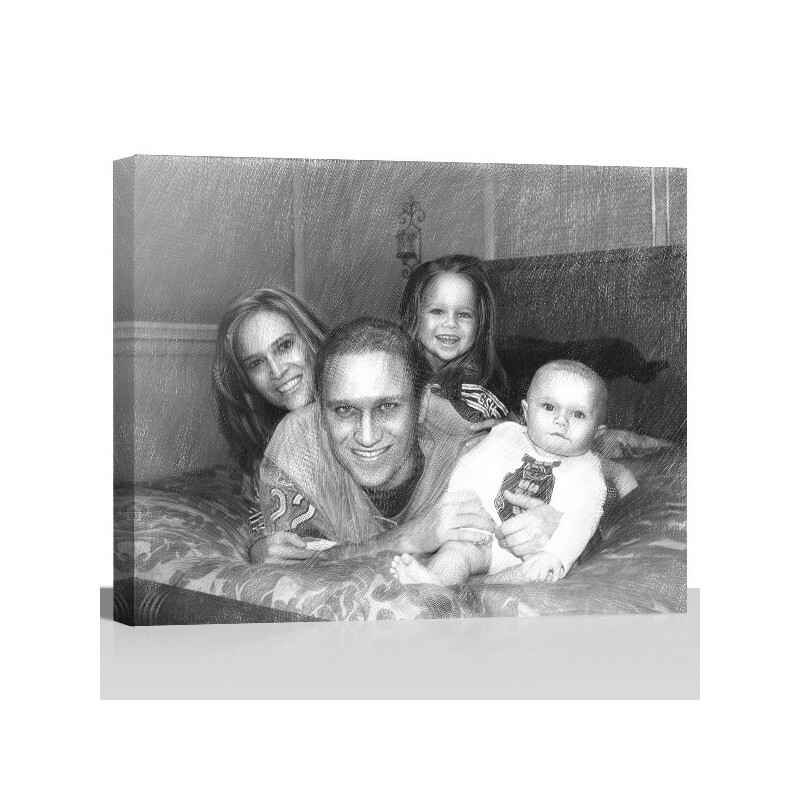 Printing photos to canvas gives you more years to enjoy your photographs. 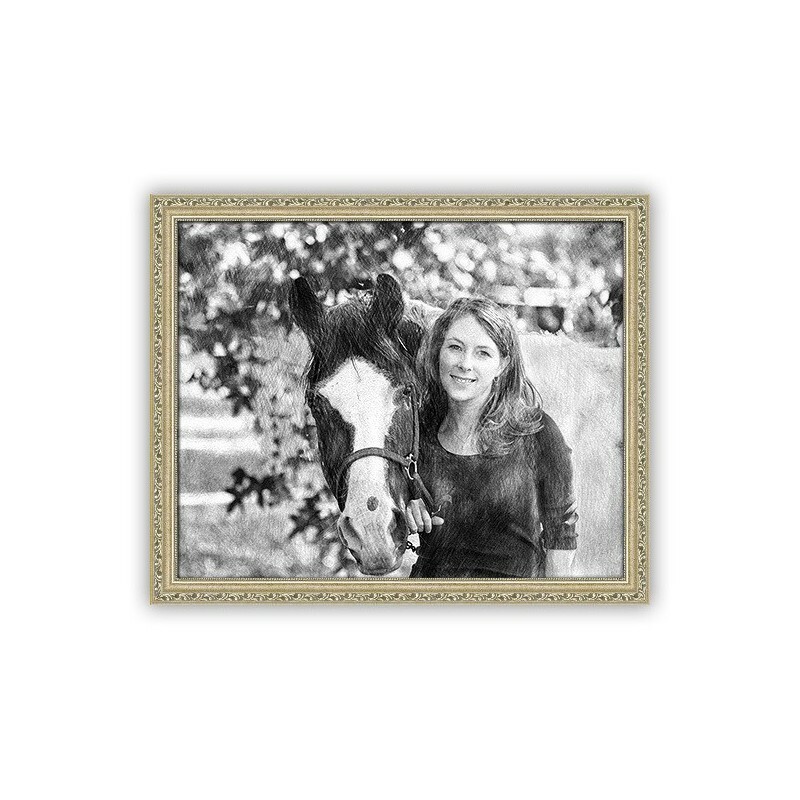 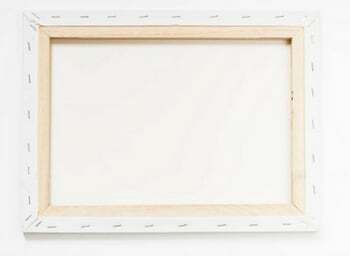 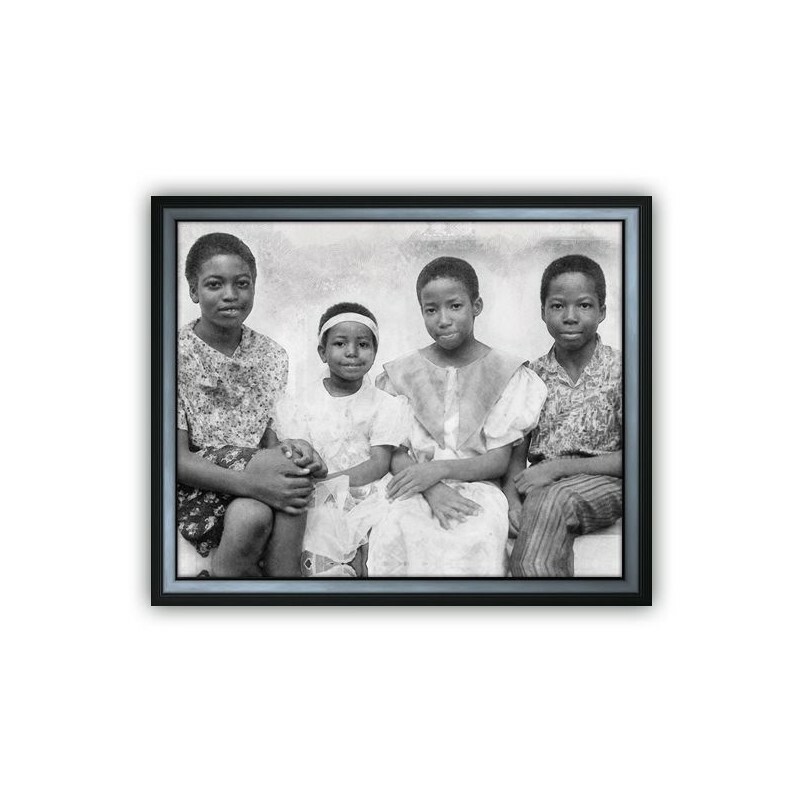 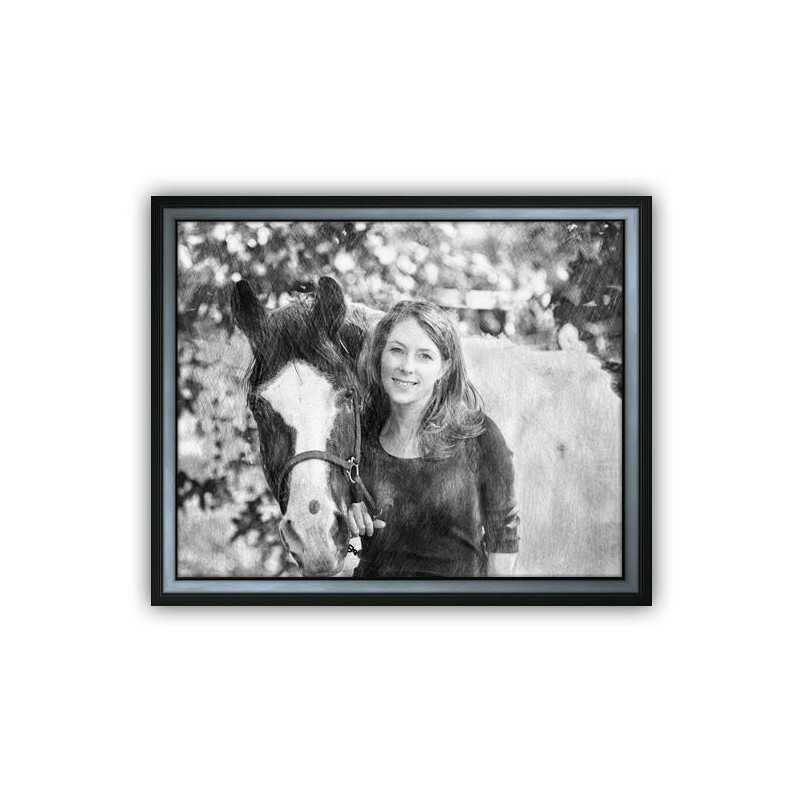 Ordinary photographs, even when framed, are susceptible to wear and tear. 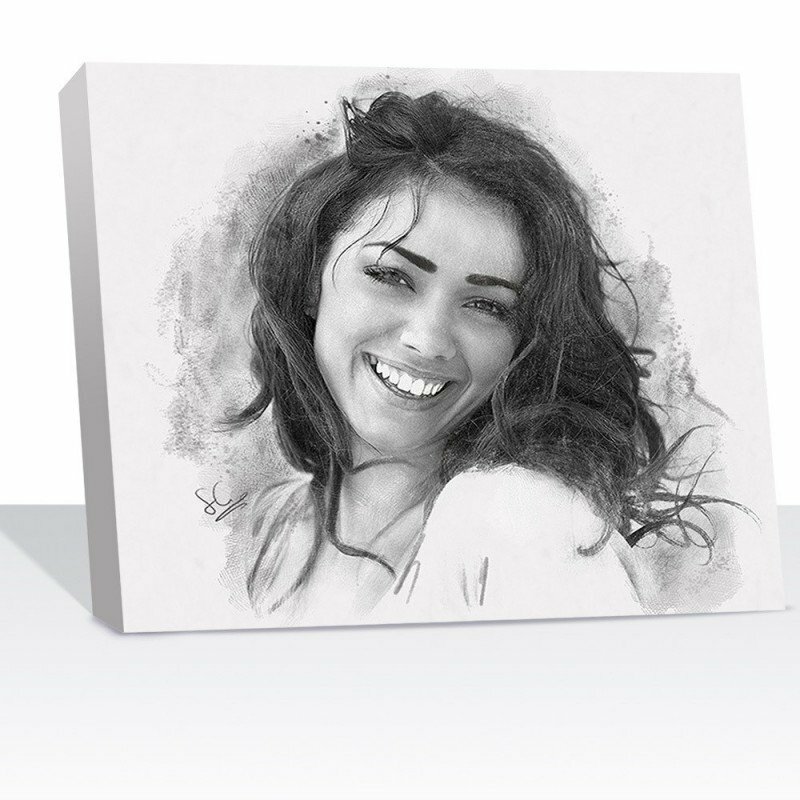 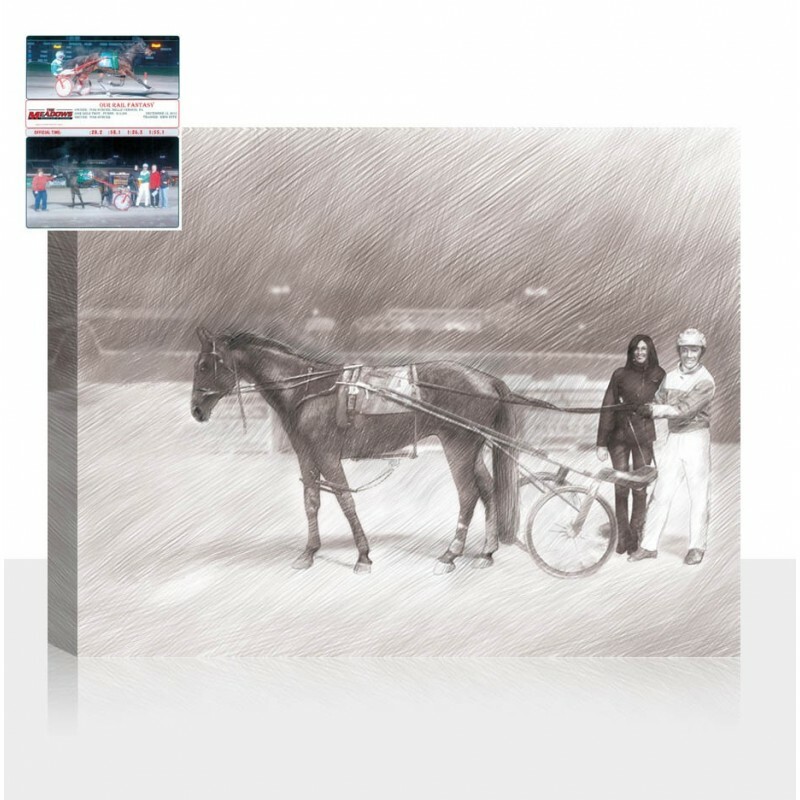 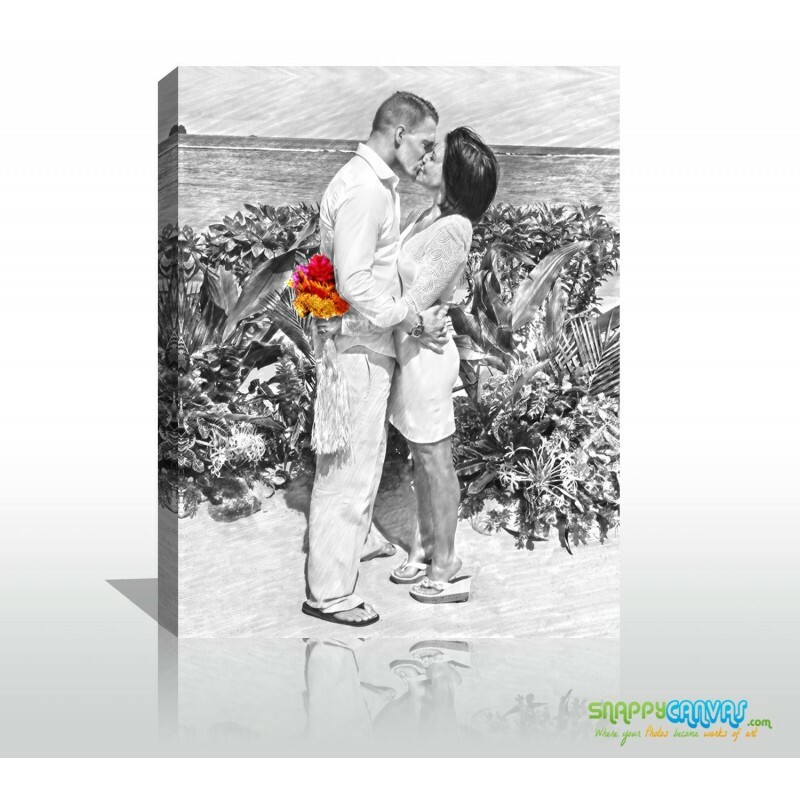 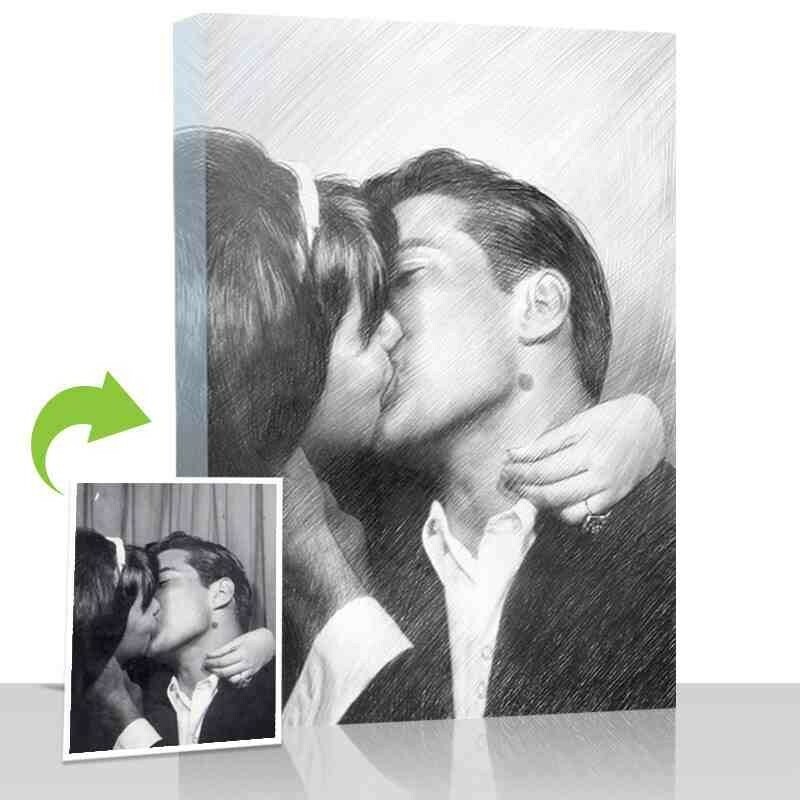 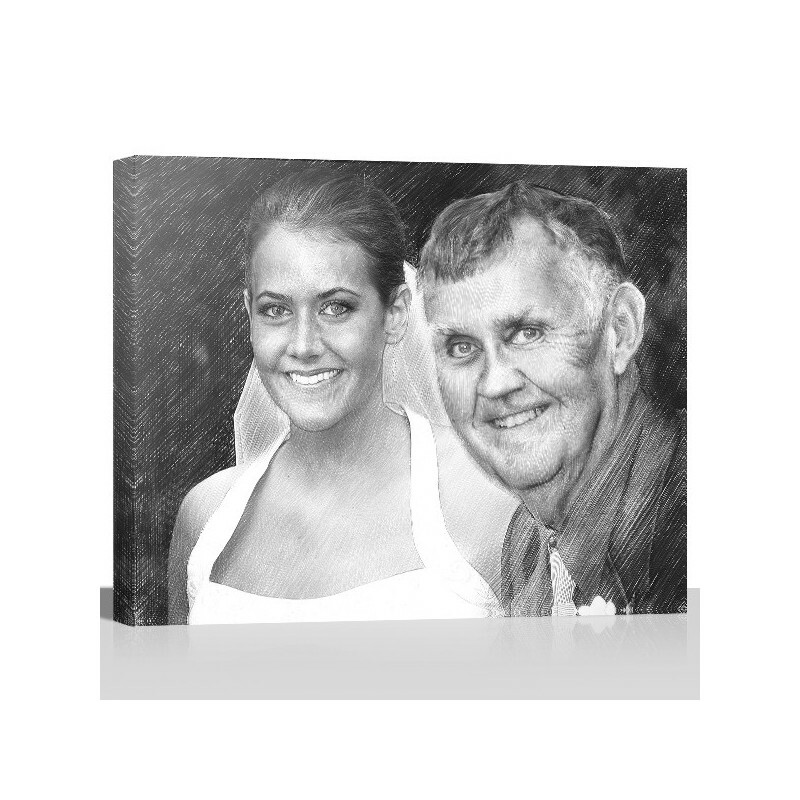 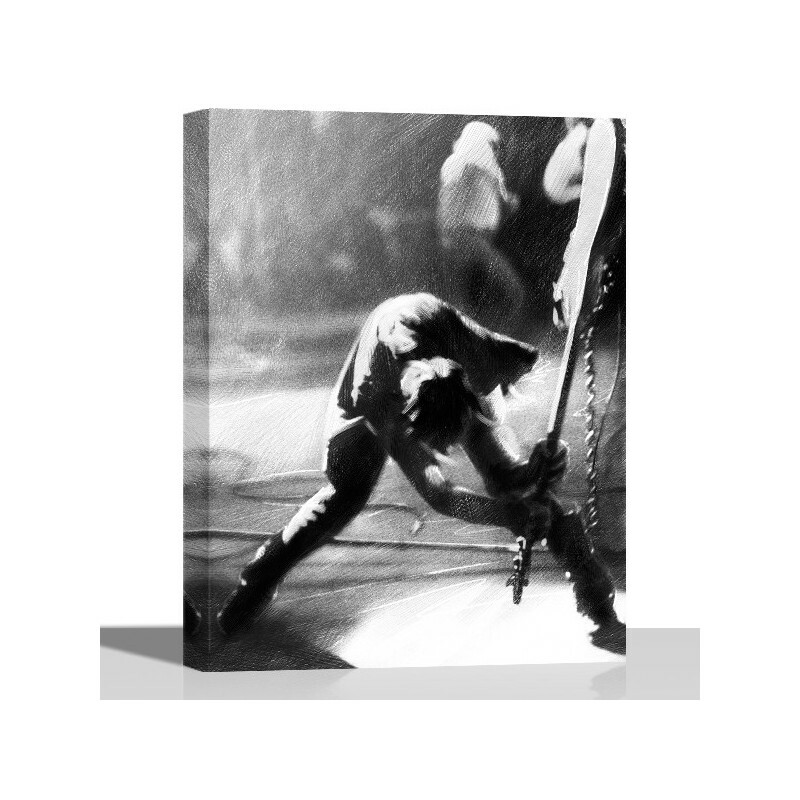 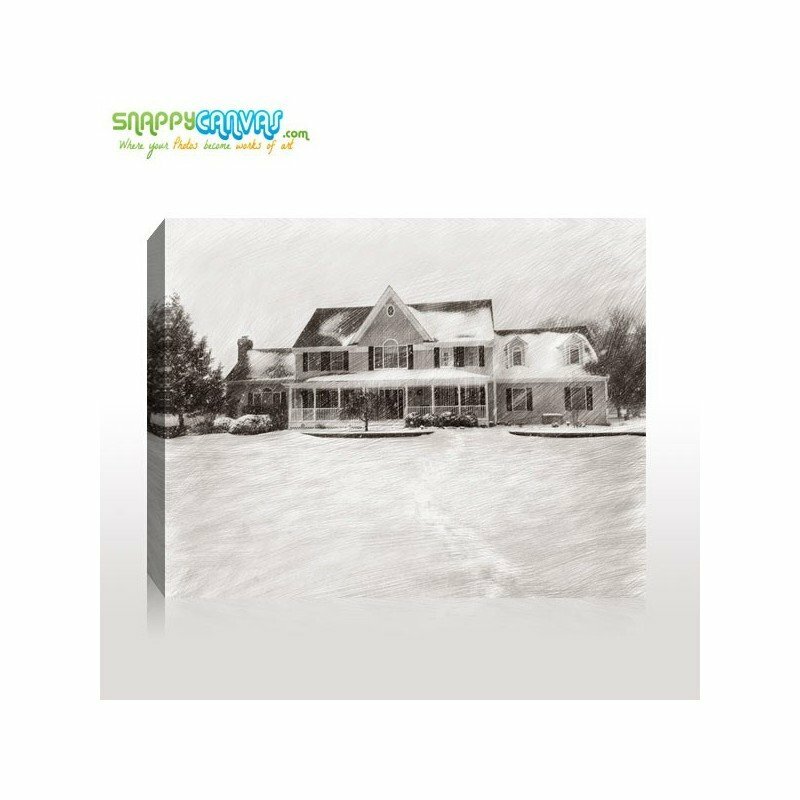 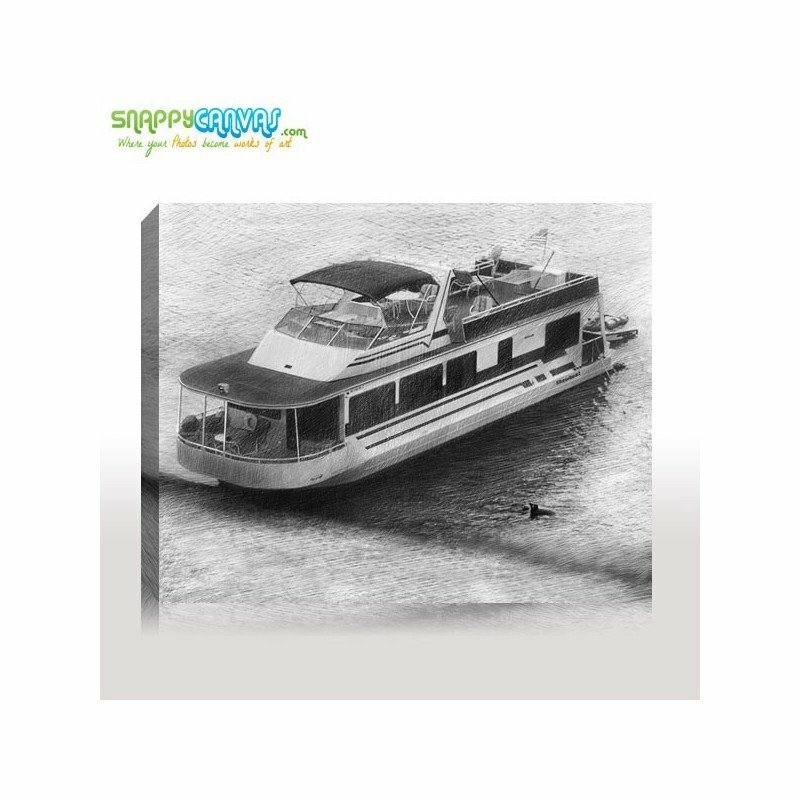 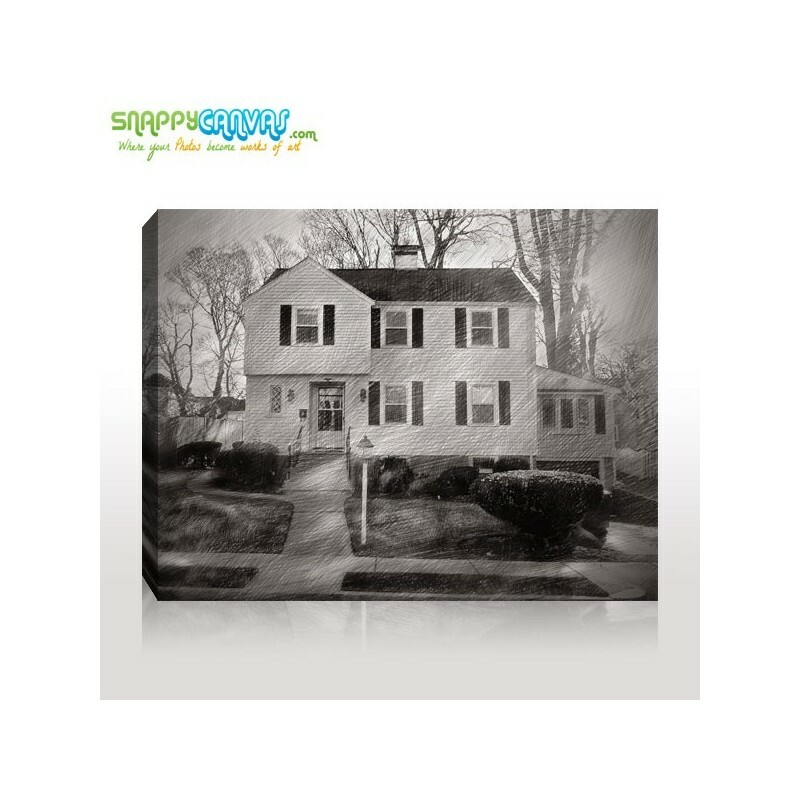 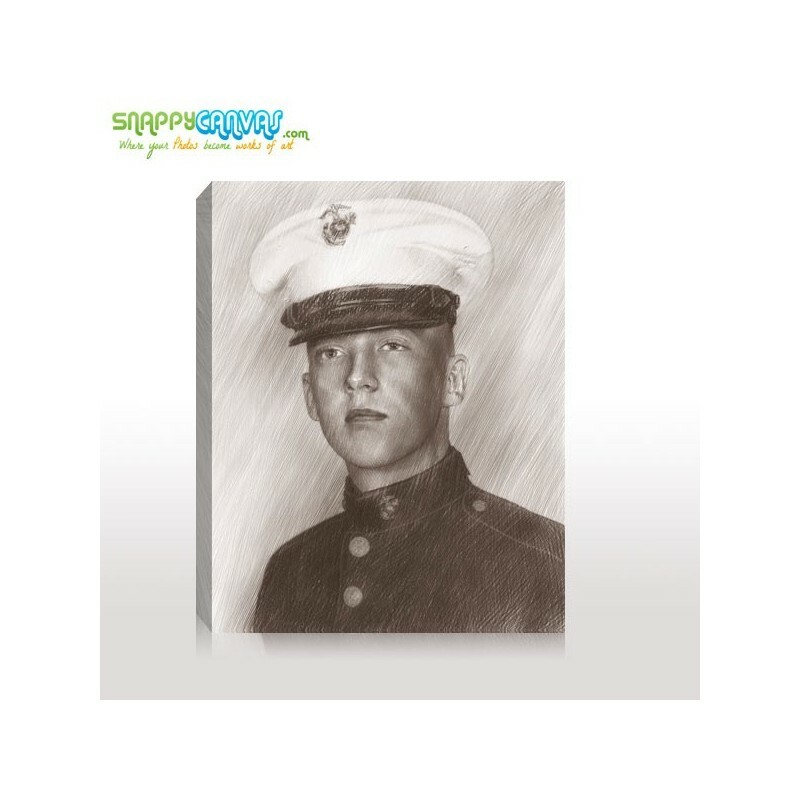 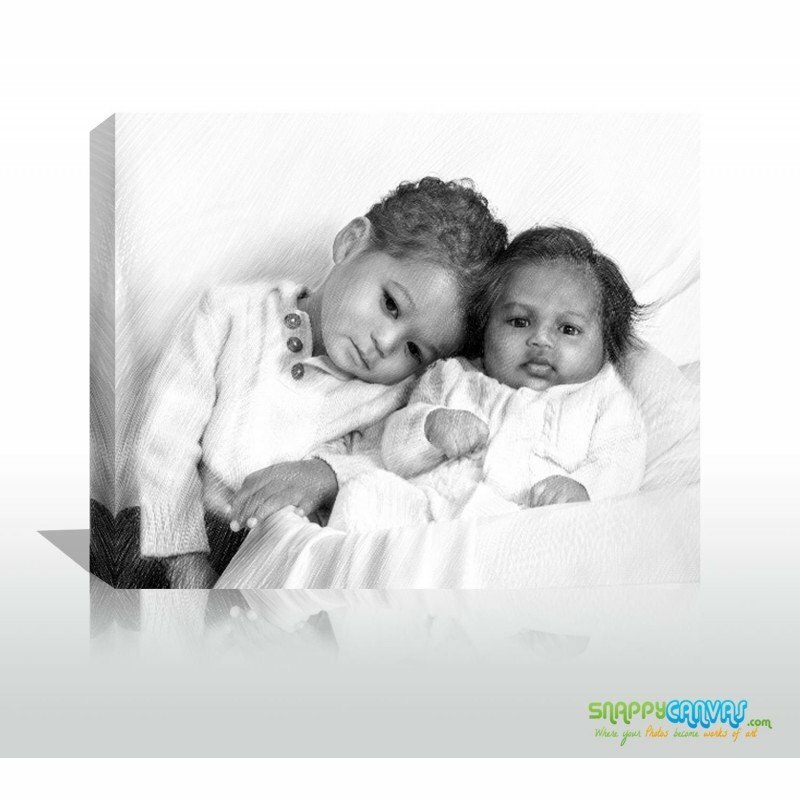 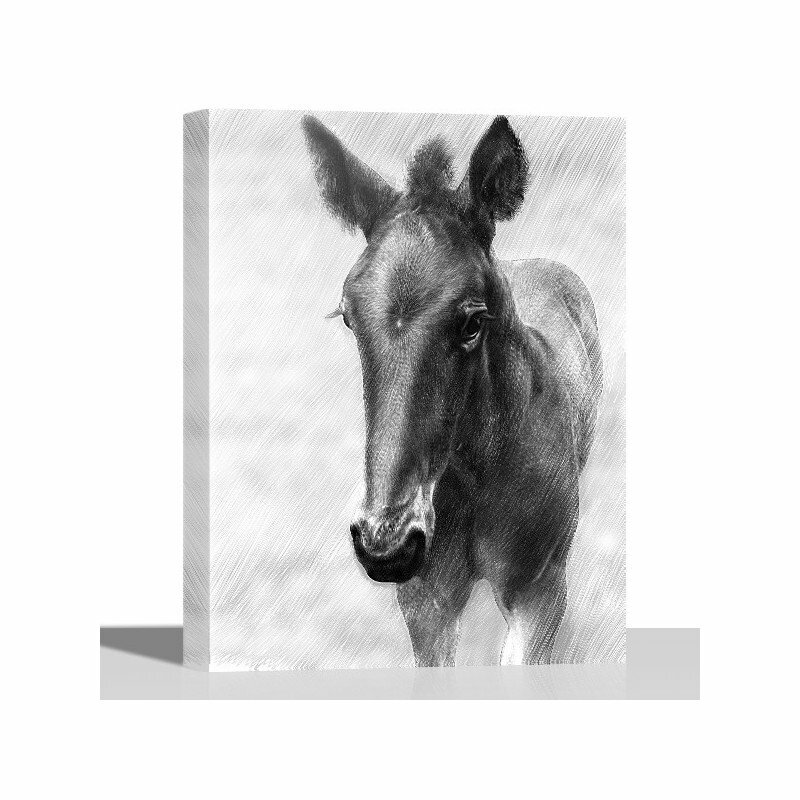 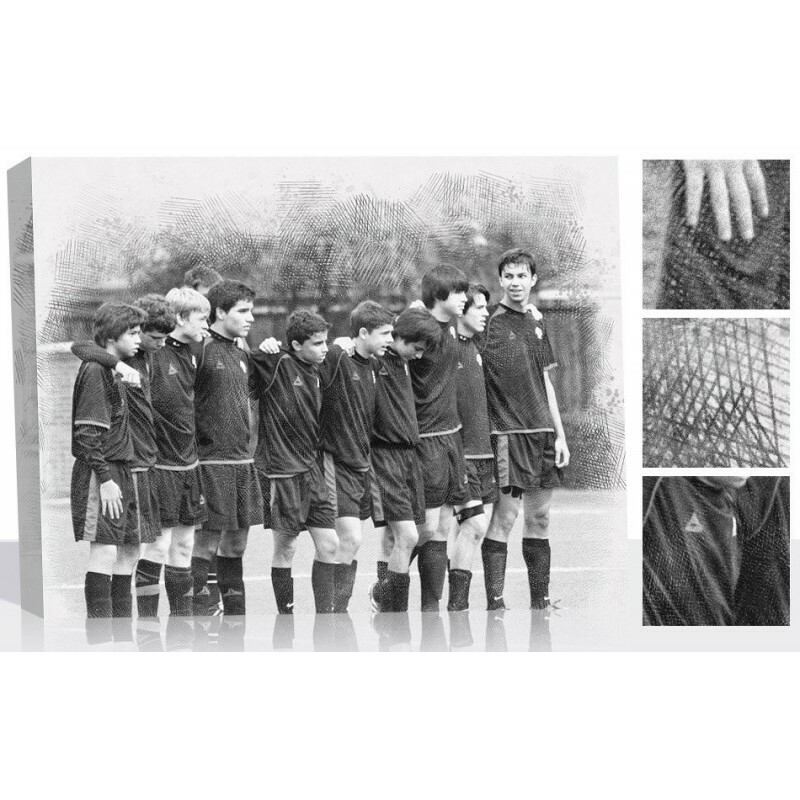 Snappy Canvas photos, on the other hand, are done only with the best materials available and the most modern in archival ink printing. 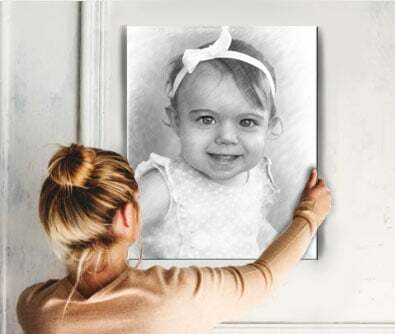 On top of that each canvas is coated with a special protective coating that makes it resistant against UV and water, two of the most common causes of photo deterioration. 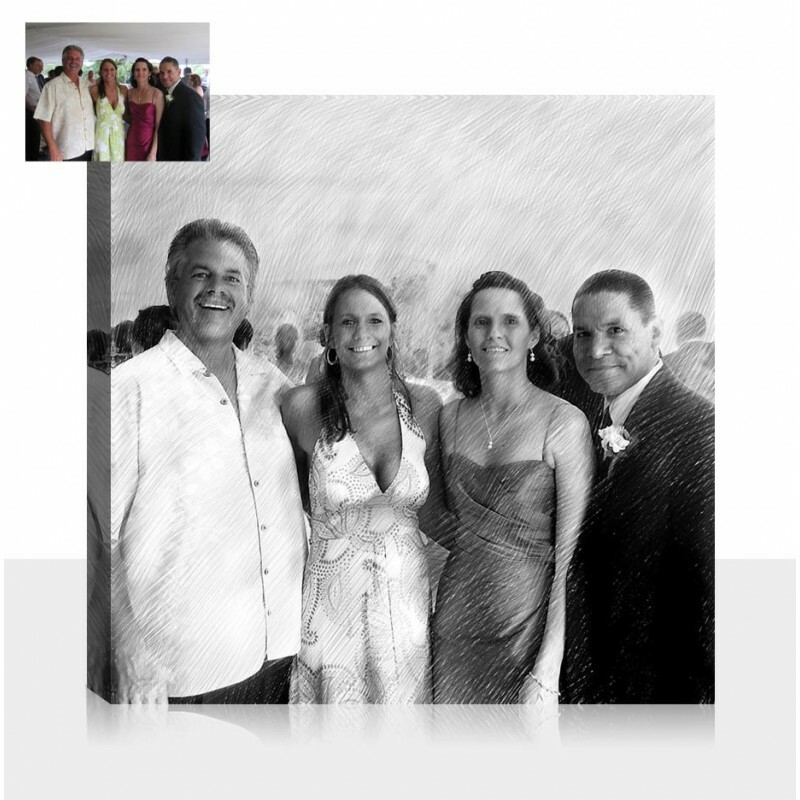 Protecting your photograph from these two elements effectively lengthen the photo’s lifetime. 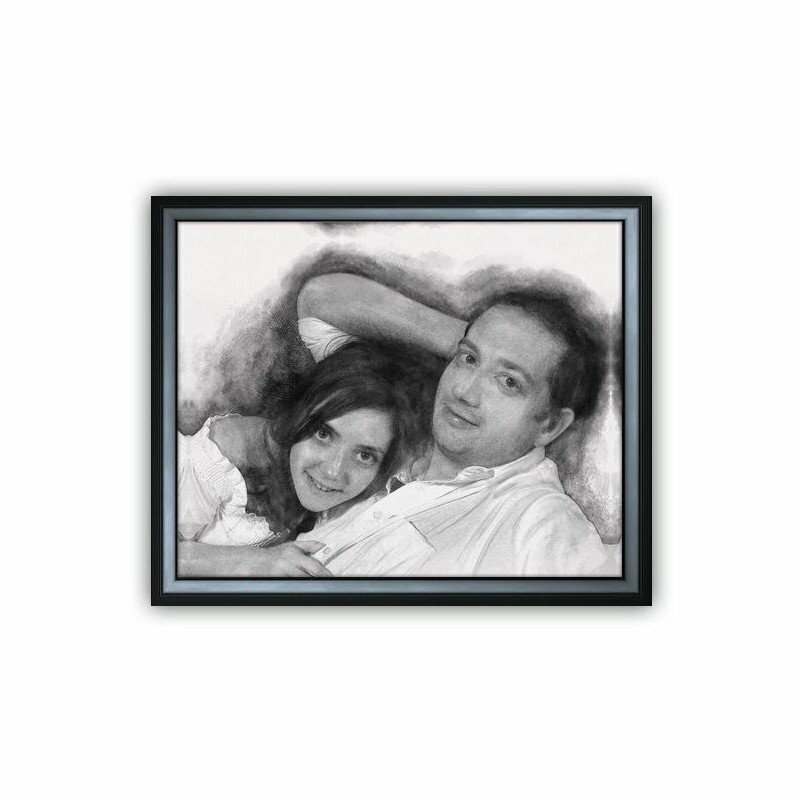 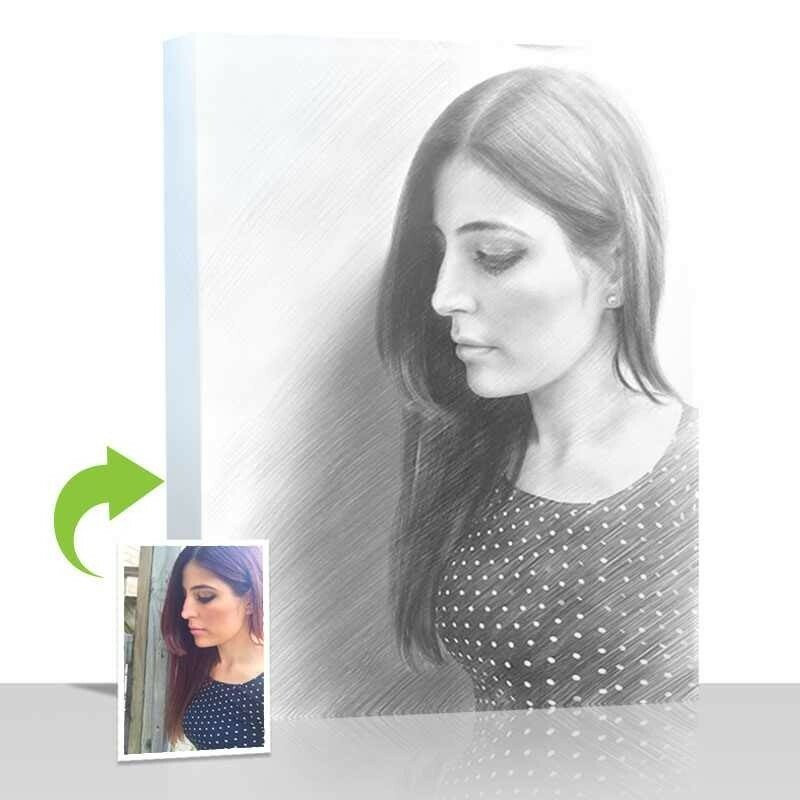 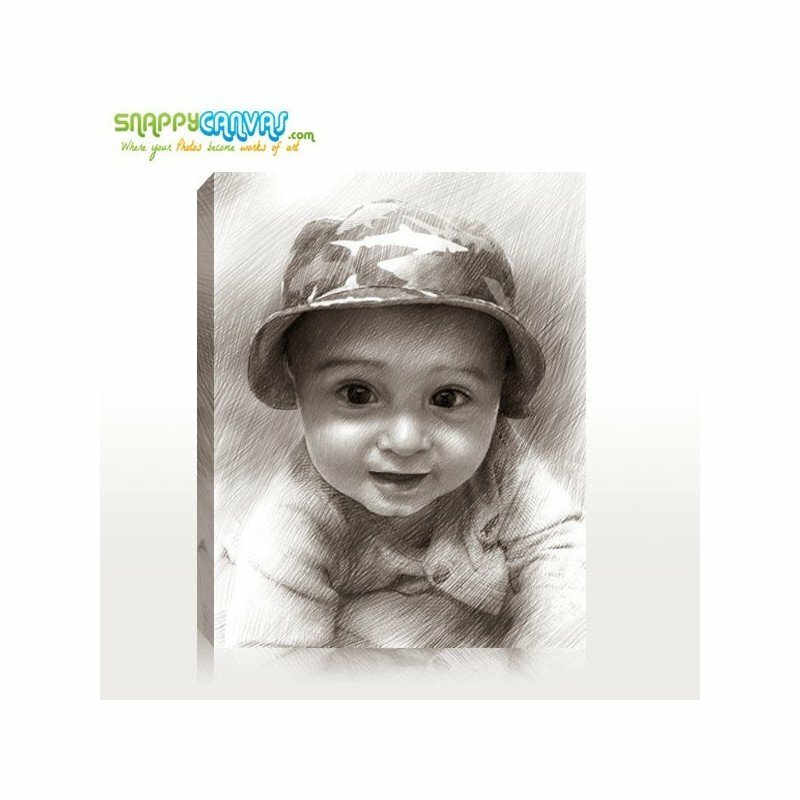 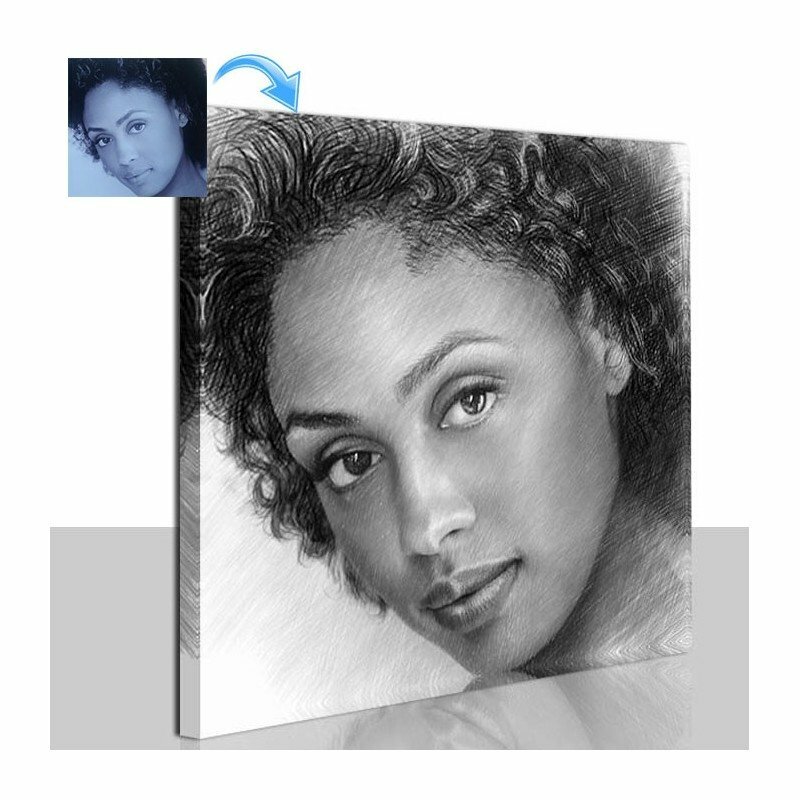 The Pencil Sketch is a style that makes use of the age-old style of portraiture, giving your photograph that very customized look. 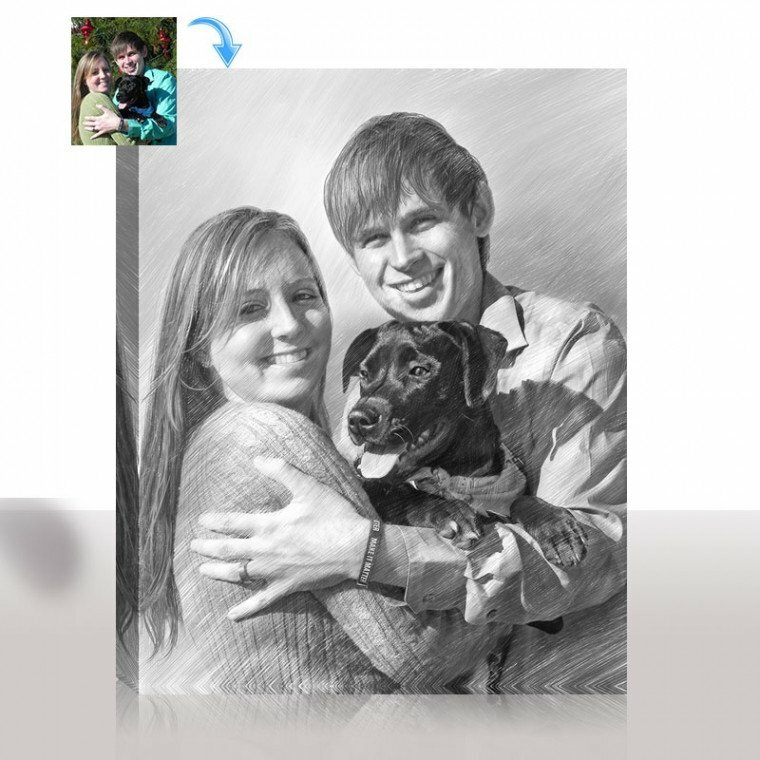 Your people or pet portraits will look classic when turned they are turned into a pencil sketch. 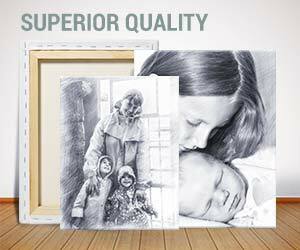 Pencil portraits offer a certain subtle beauty historic quality about them. 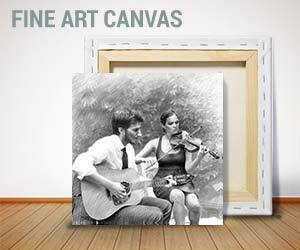 Instead of catching your eye with color and vivacity, they draw you in with nostalgia and sentimentality. 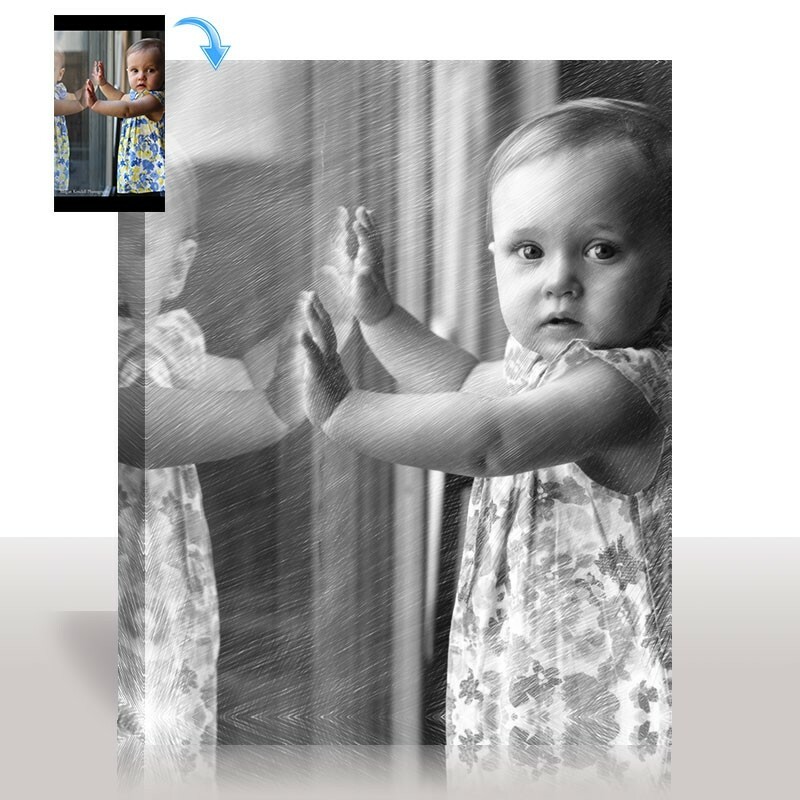 Simply upload your photographs directly from your computer or if you are using image hosting sites like Flickr and Picasa to store your photos on, you may also upload from those directly. 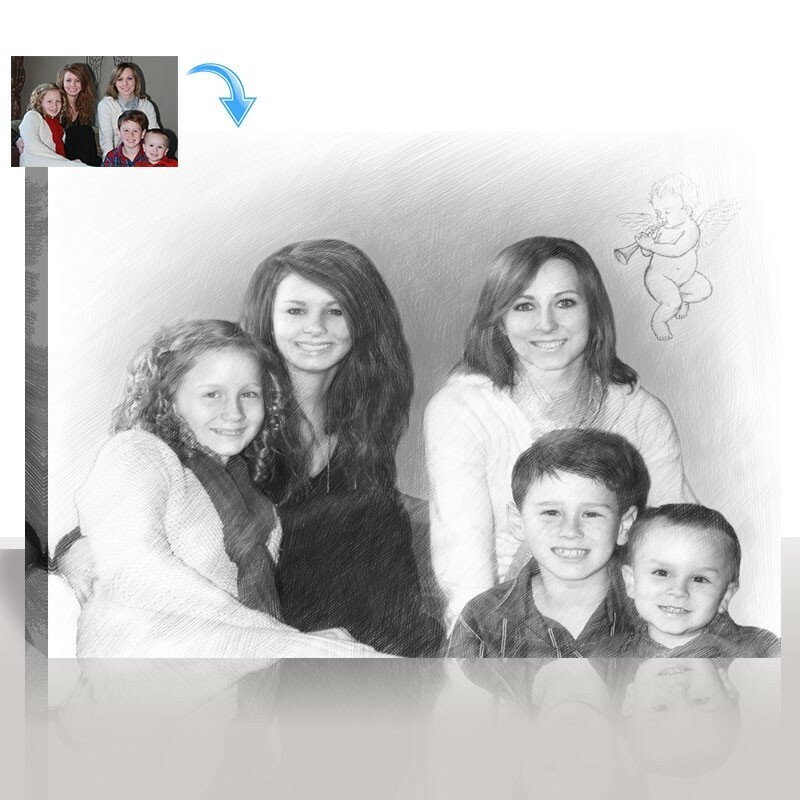 You can also email them to us or send it via regular mail. 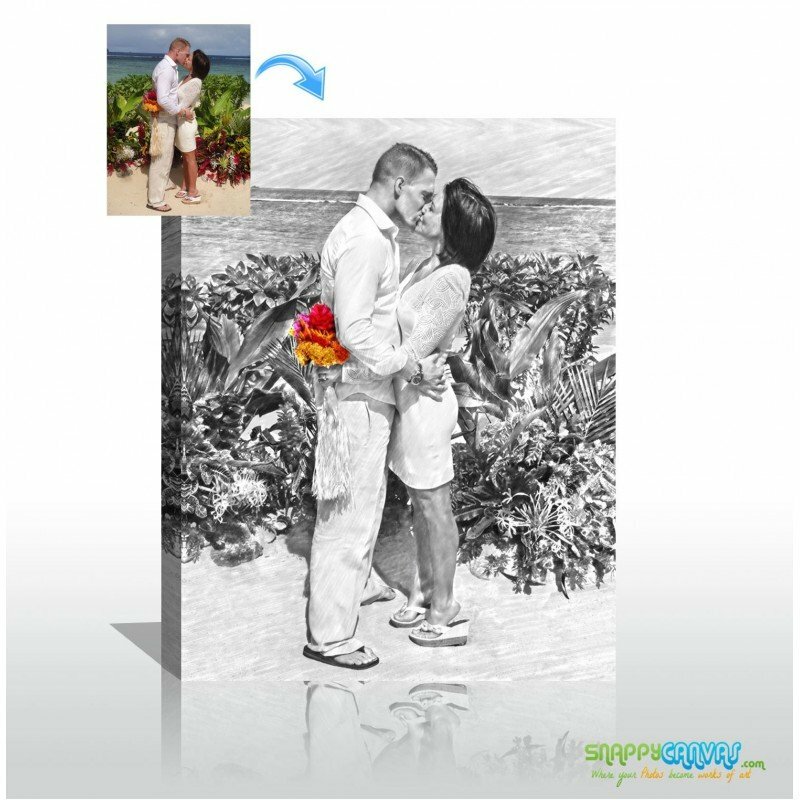 Just remember to send us high resolution images so you can be sure that they will look vibrant when printed on large canvases.